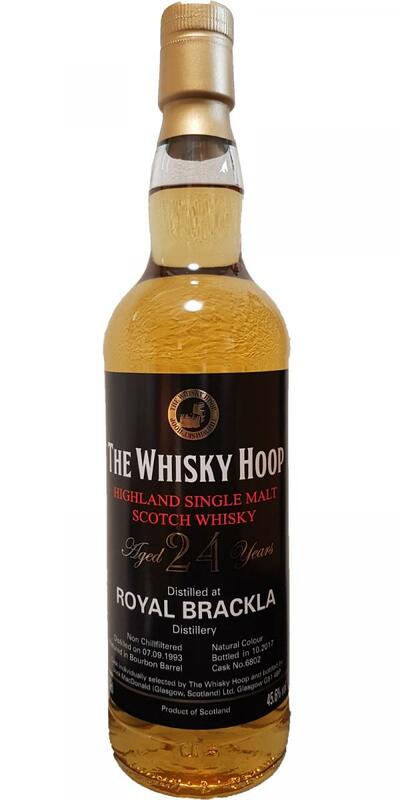 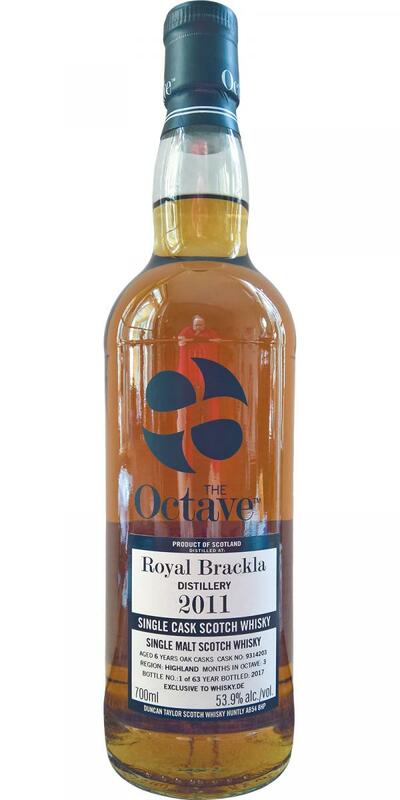 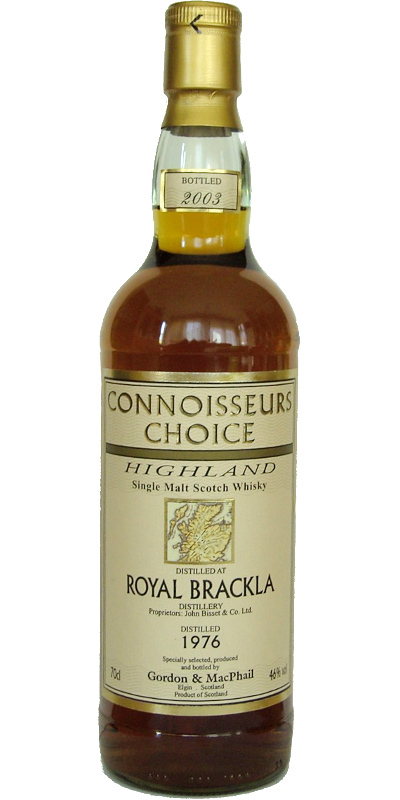 Royal Brackla 1924 60 40.0 % Vol. 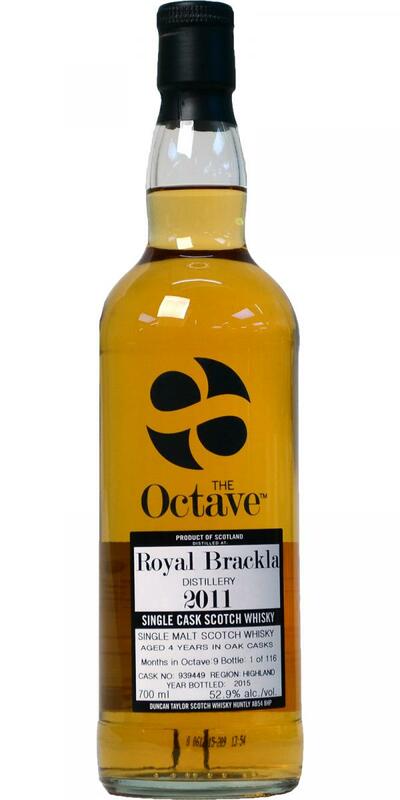 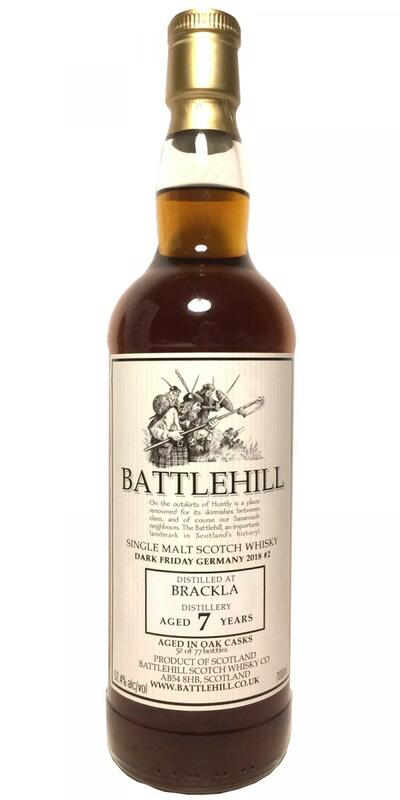 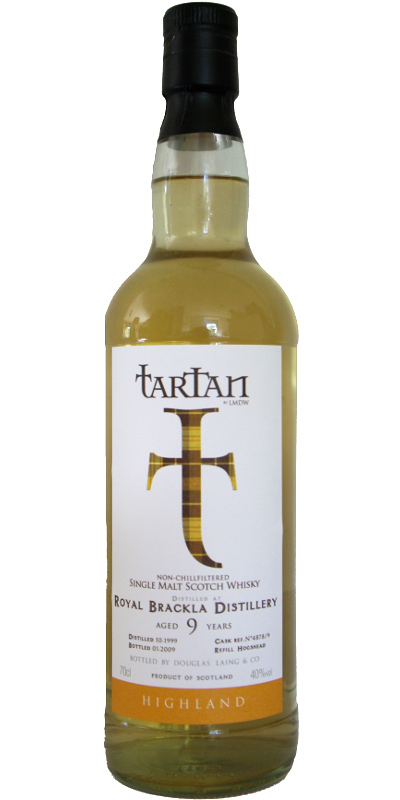 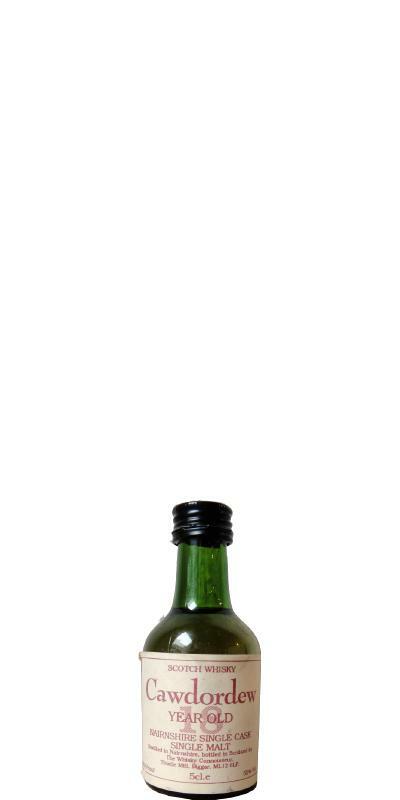 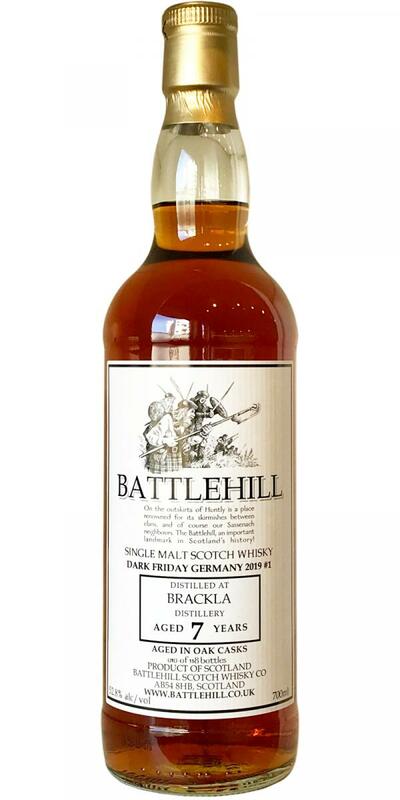 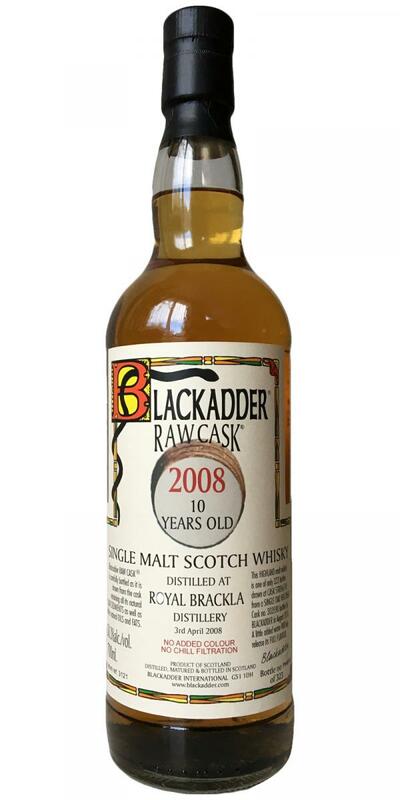 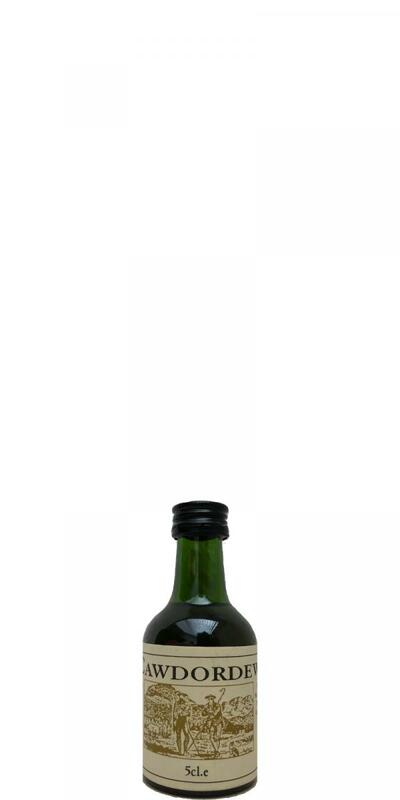 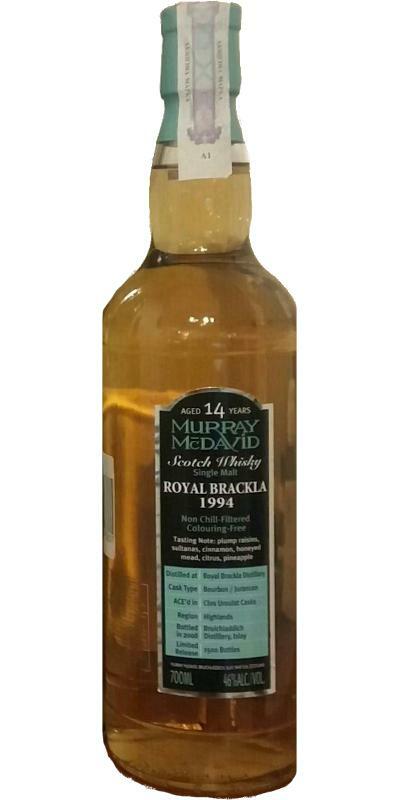 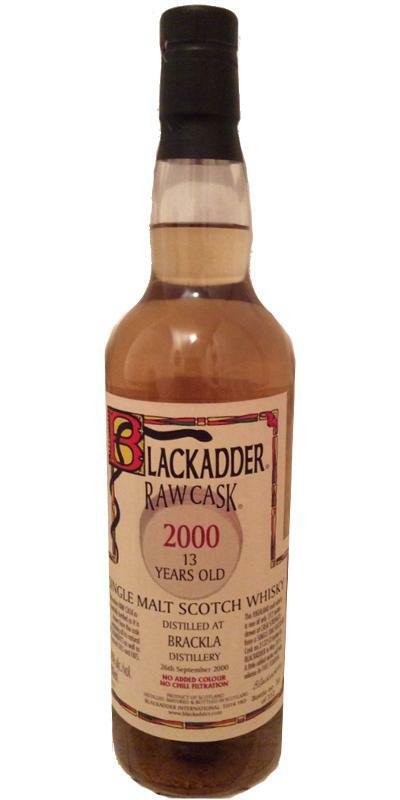 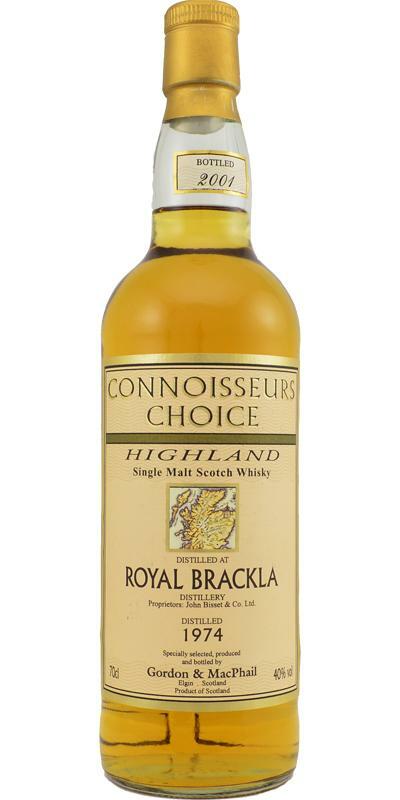 Royal Brackla 2001 46.0 % Vol. 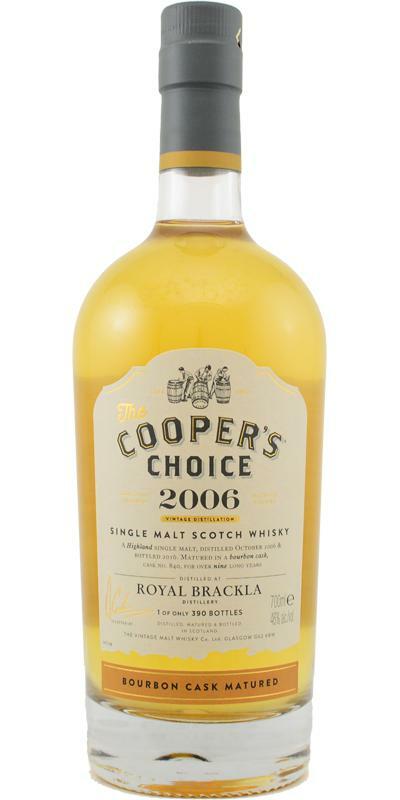 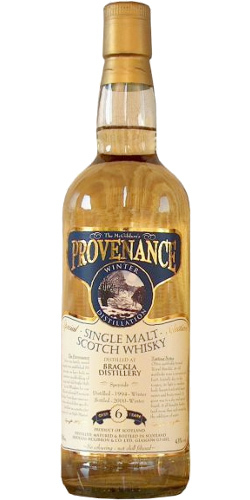 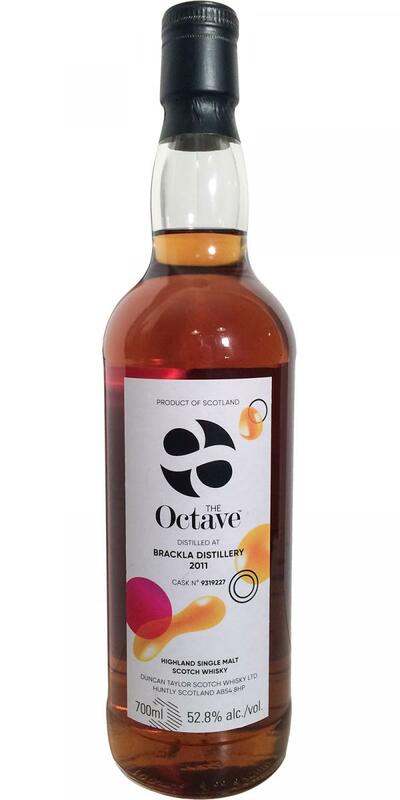 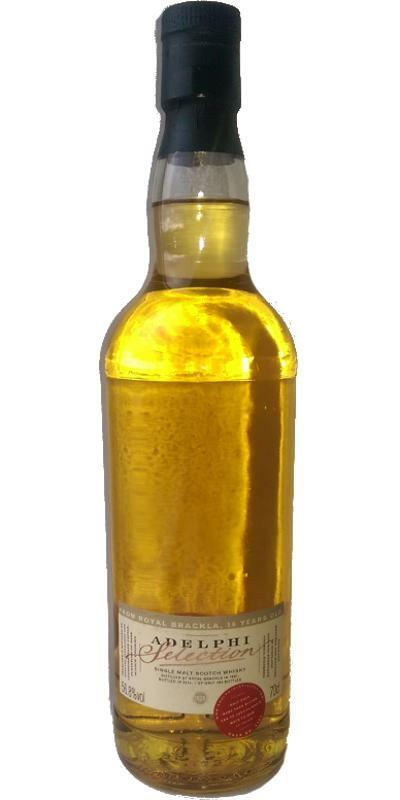 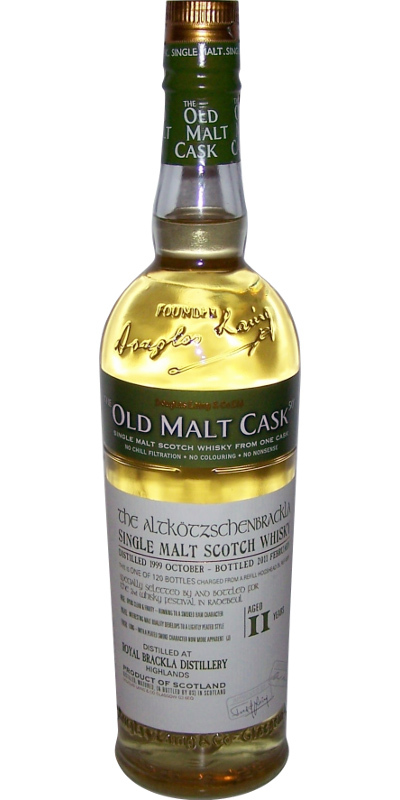 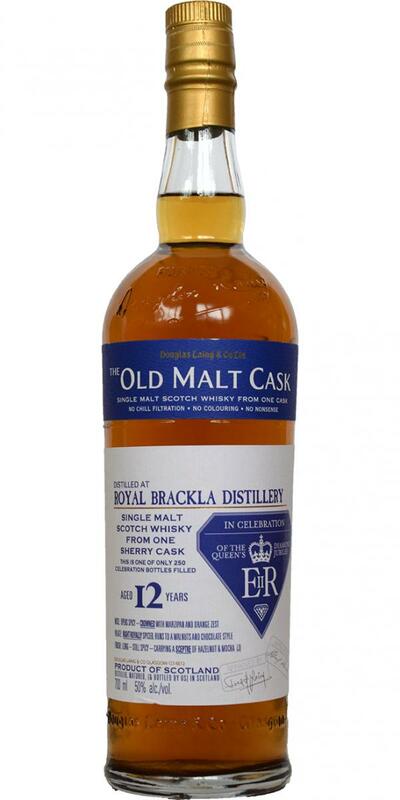 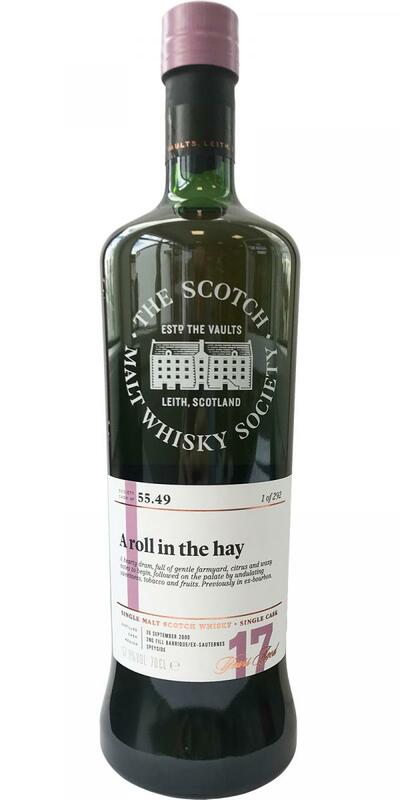 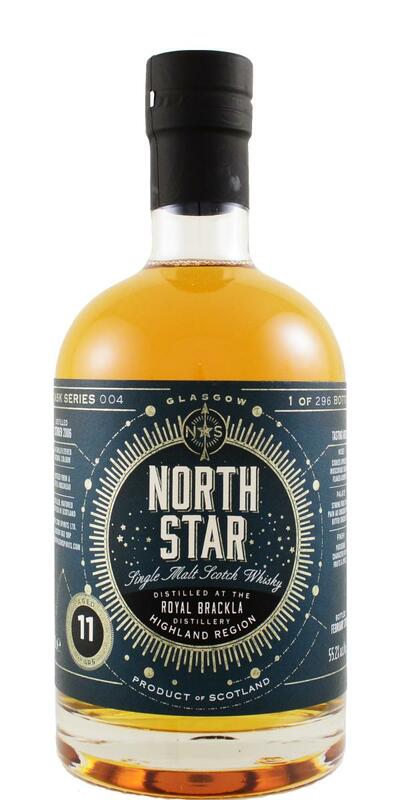 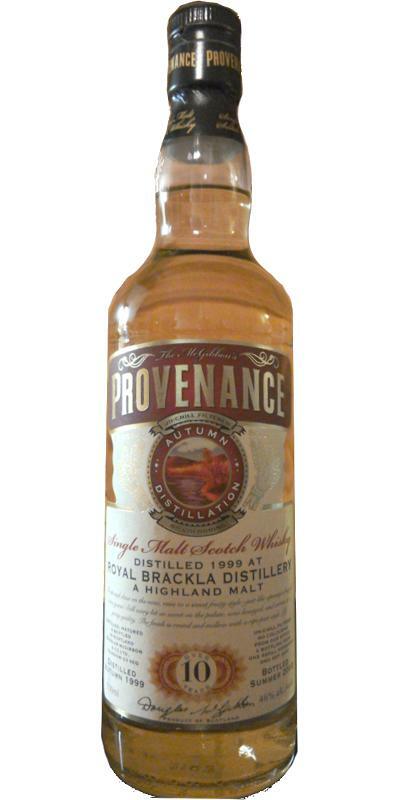 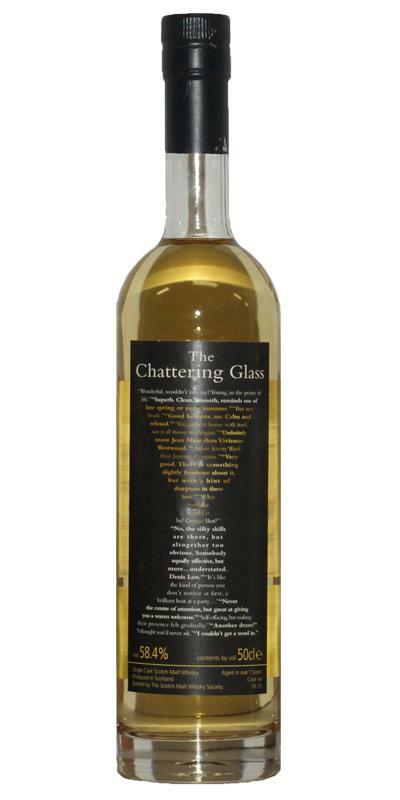 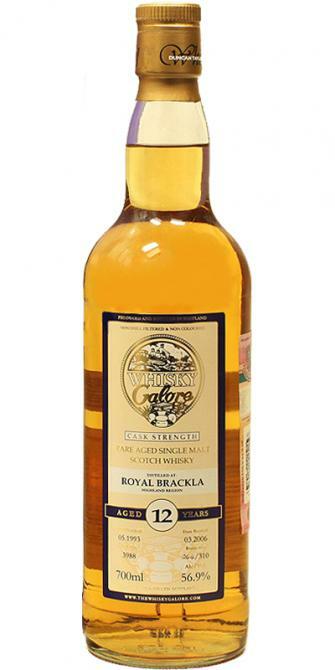 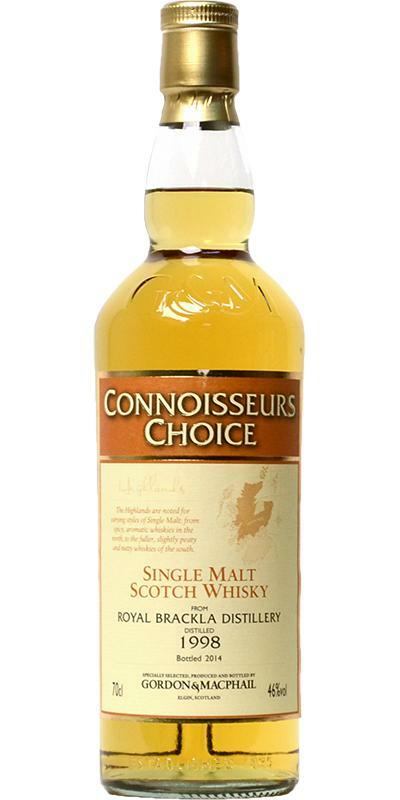 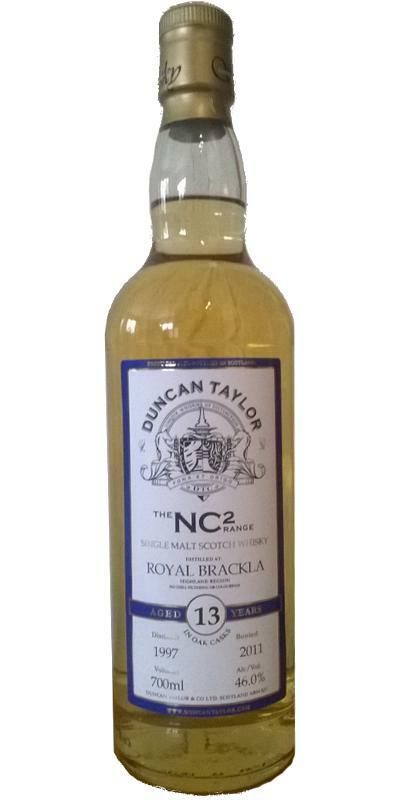 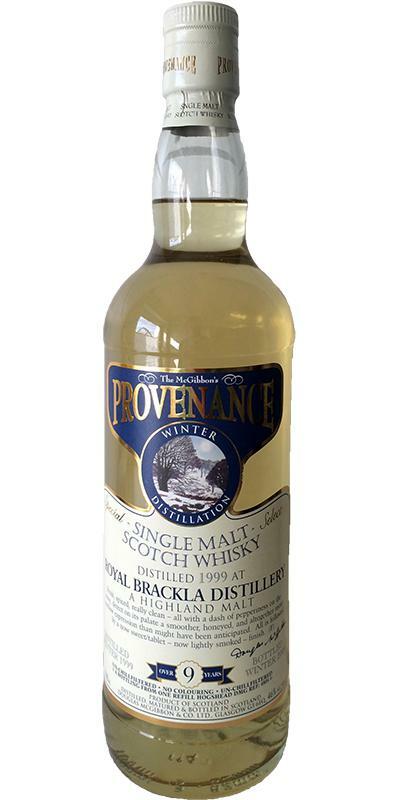 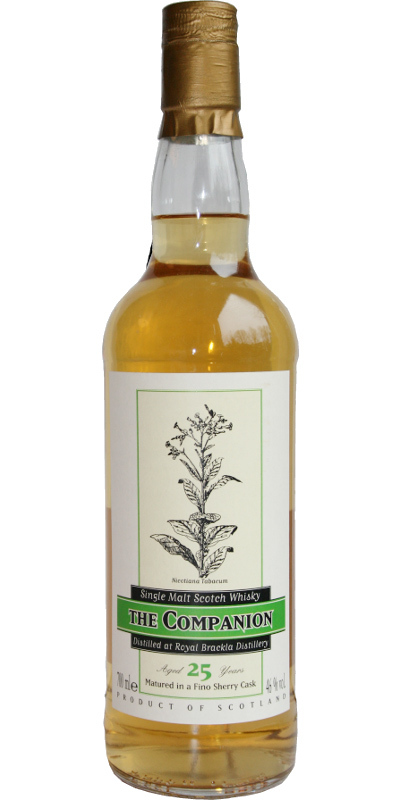 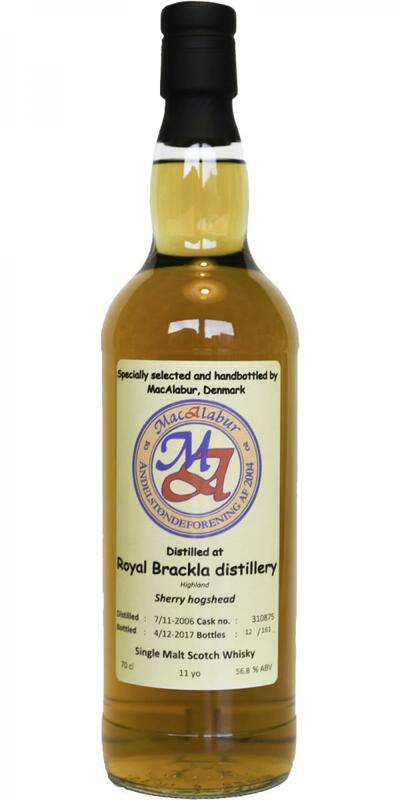 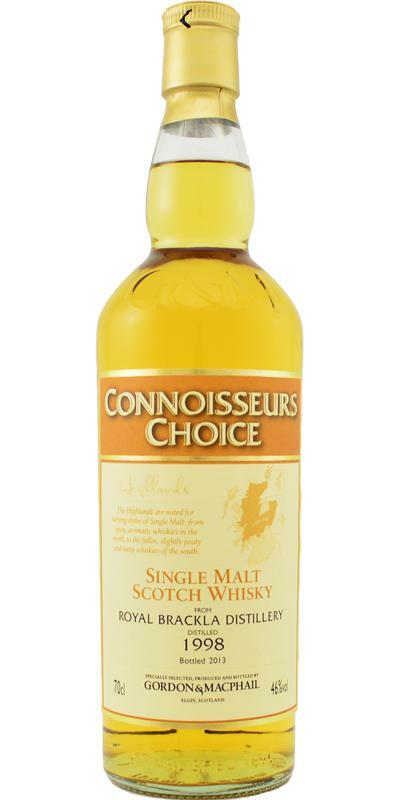 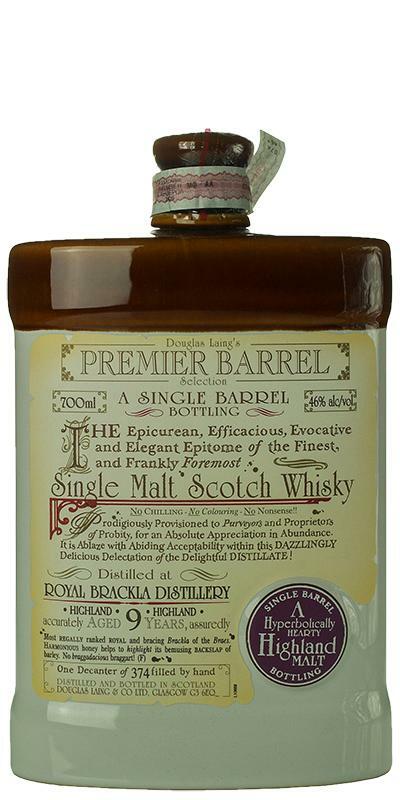 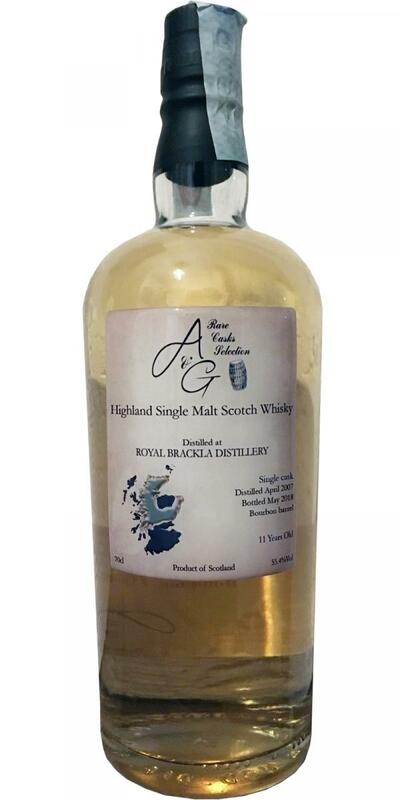 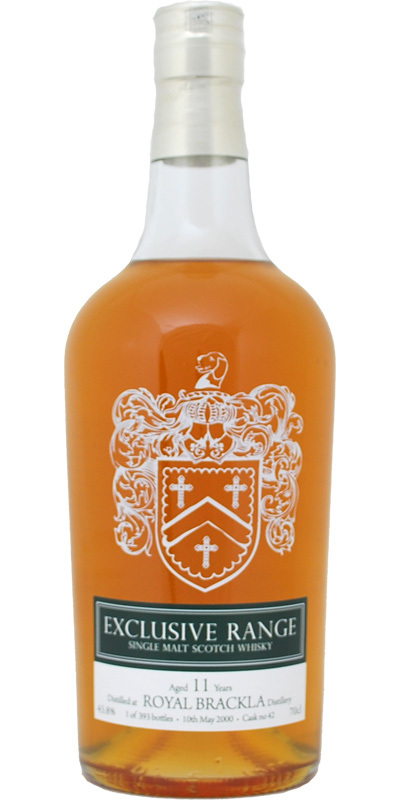 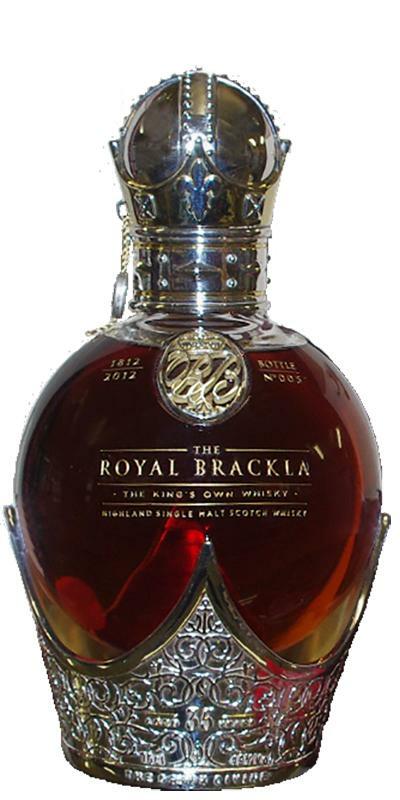 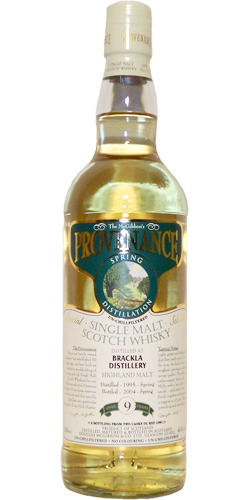 Royal Brackla 12-year-old AMC Ainsley Brae 12 40.0 % Vol. 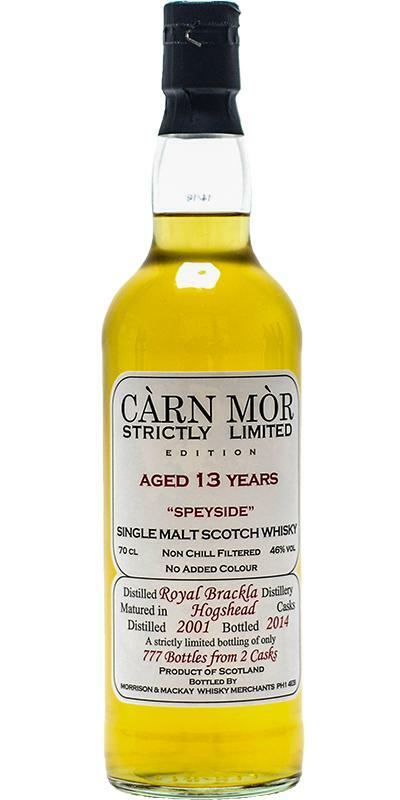 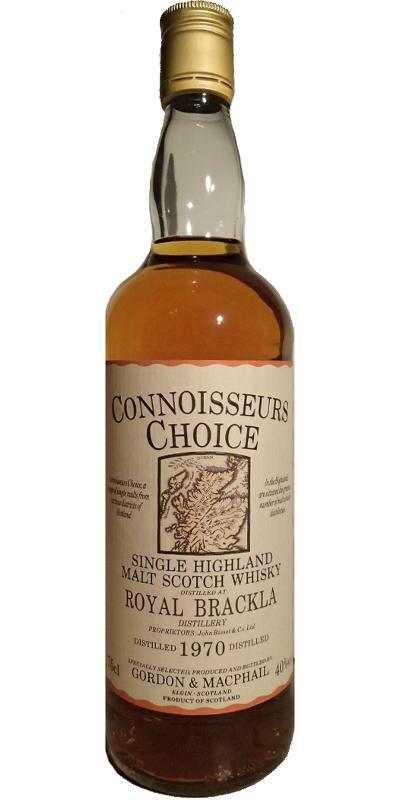 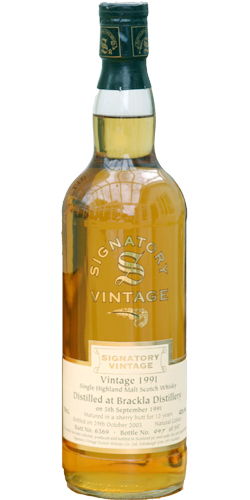 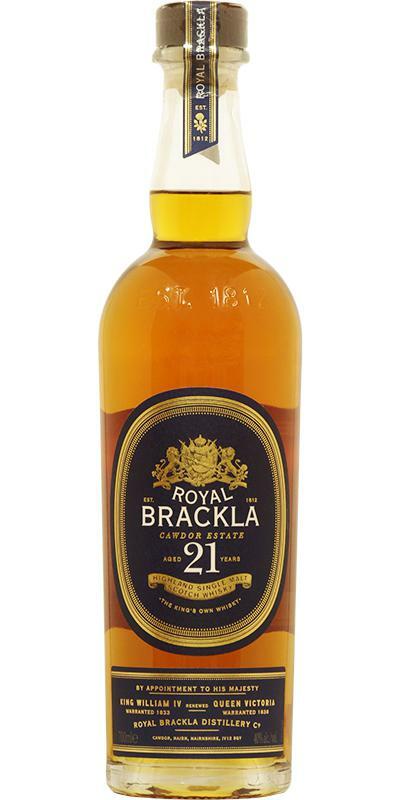 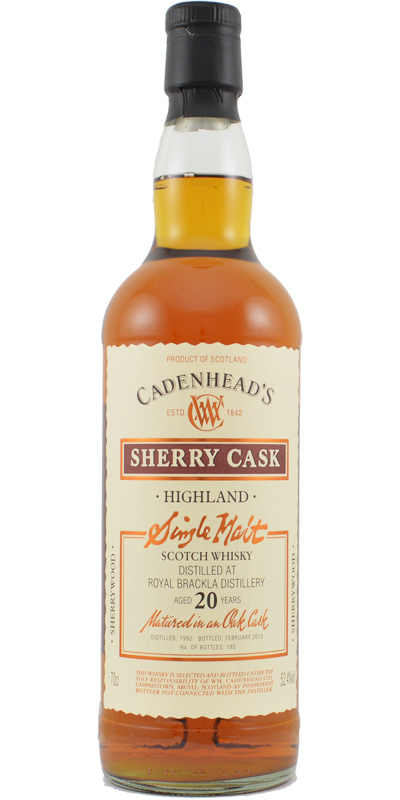 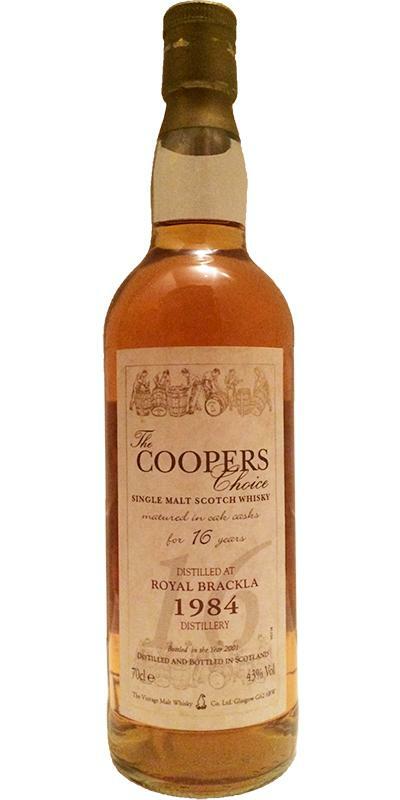 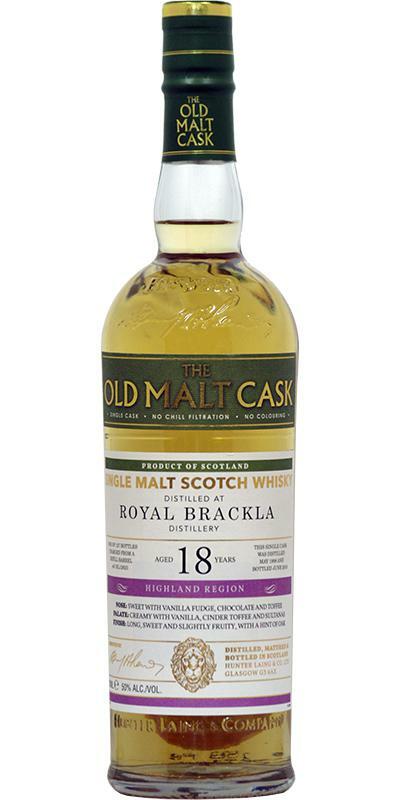 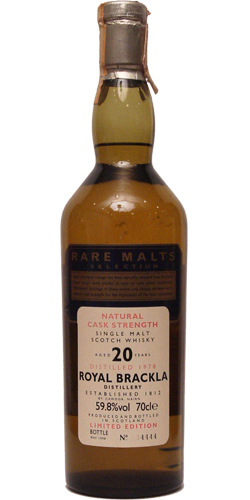 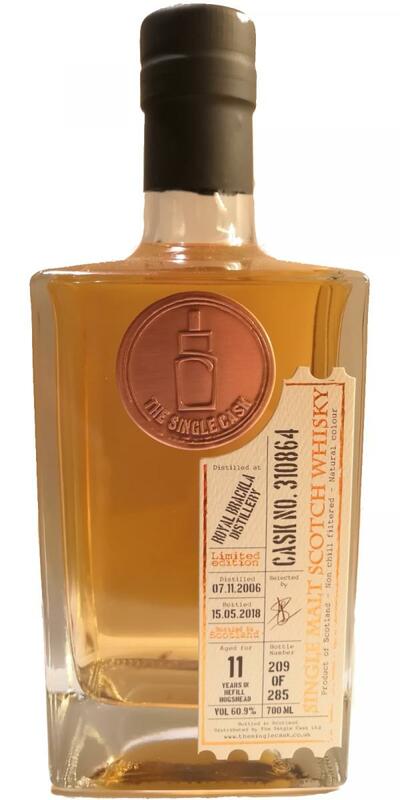 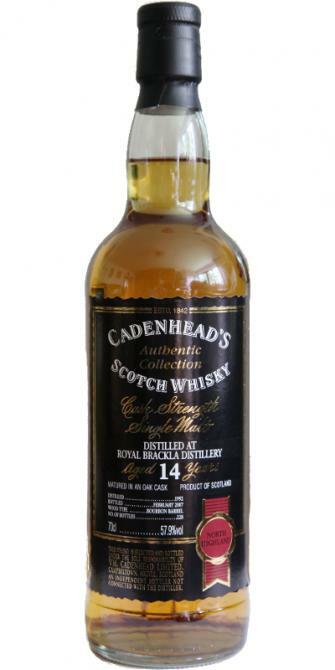 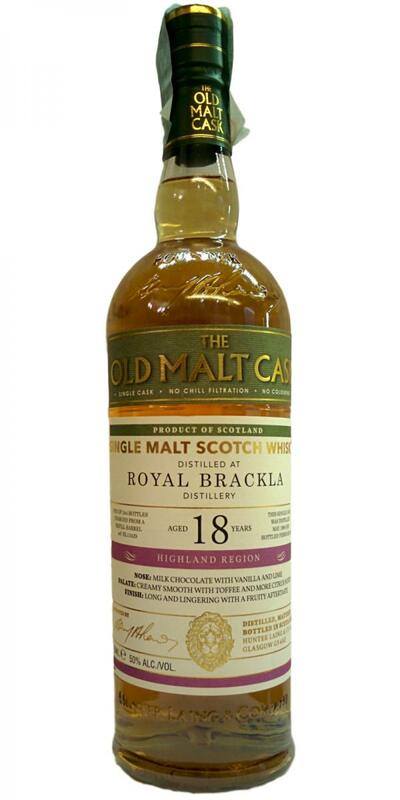 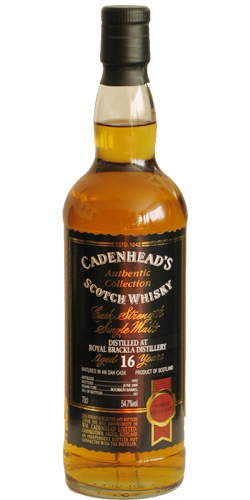 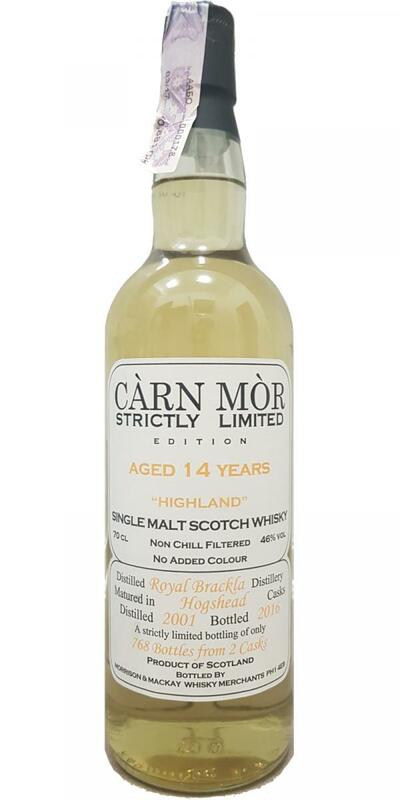 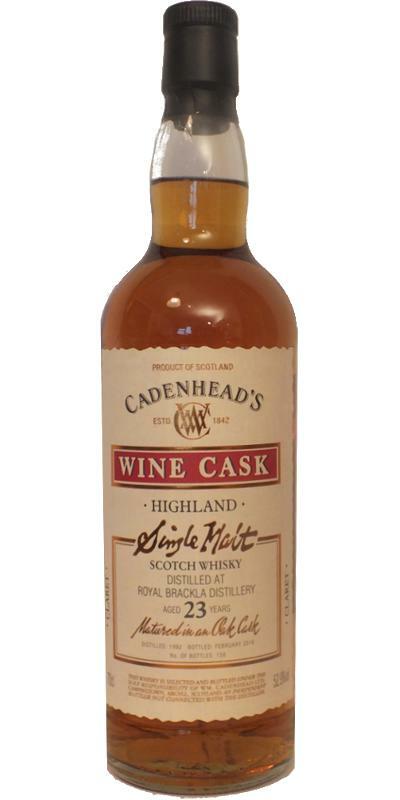 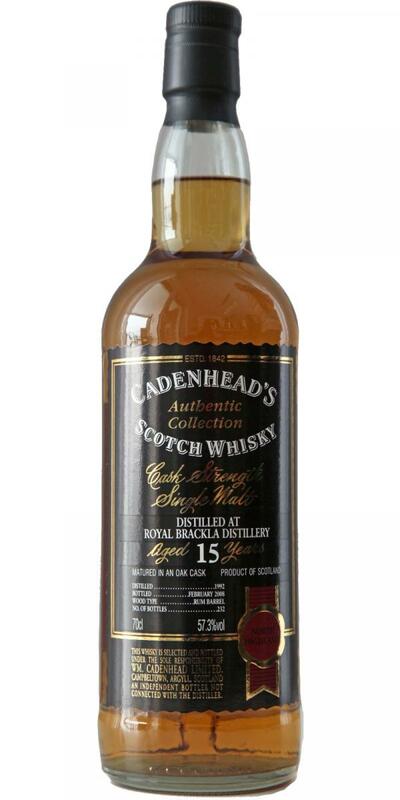 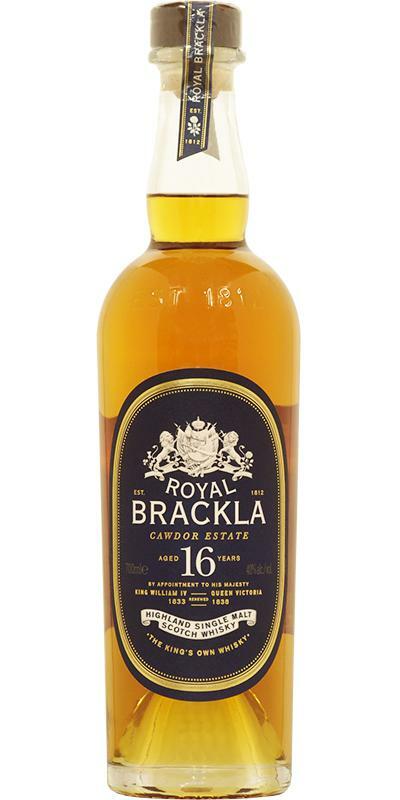 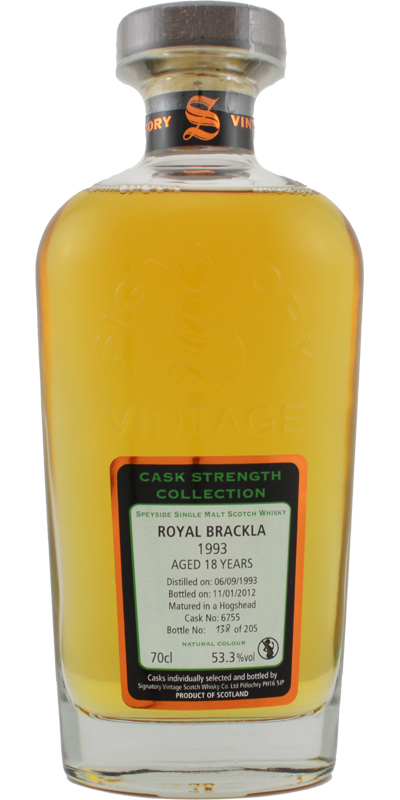 Royal Brackla 18-year-old CA Miniature 18 46.0 % Vol. 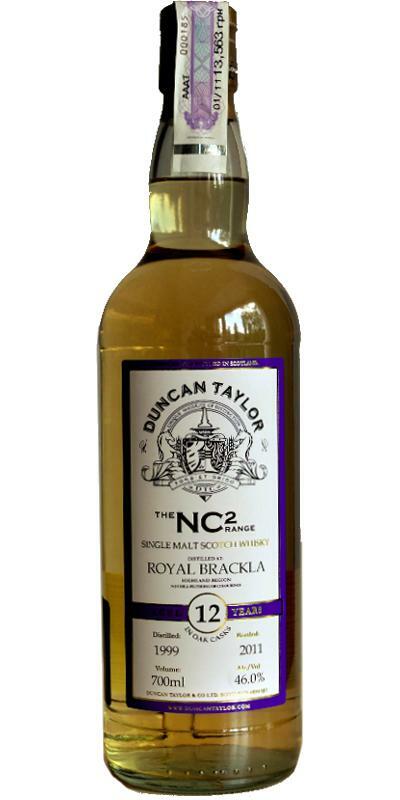 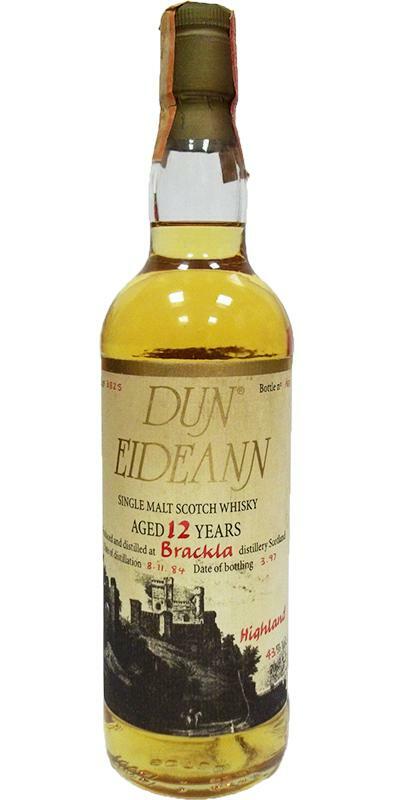 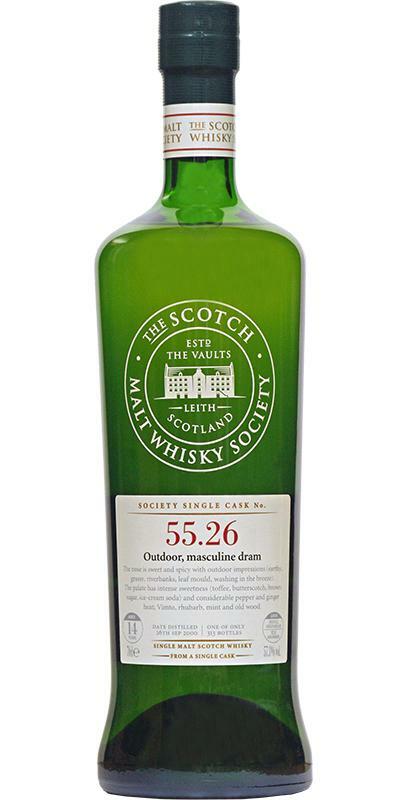 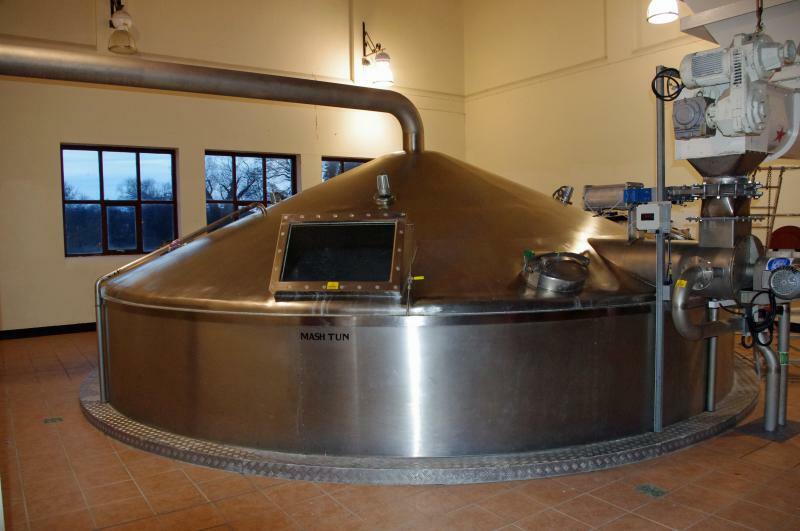 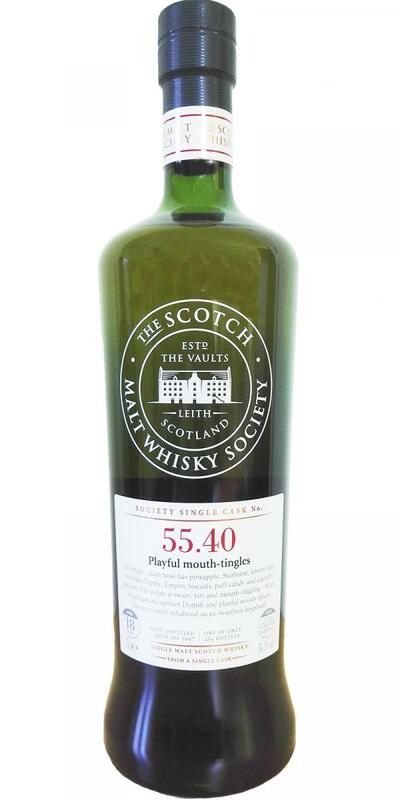 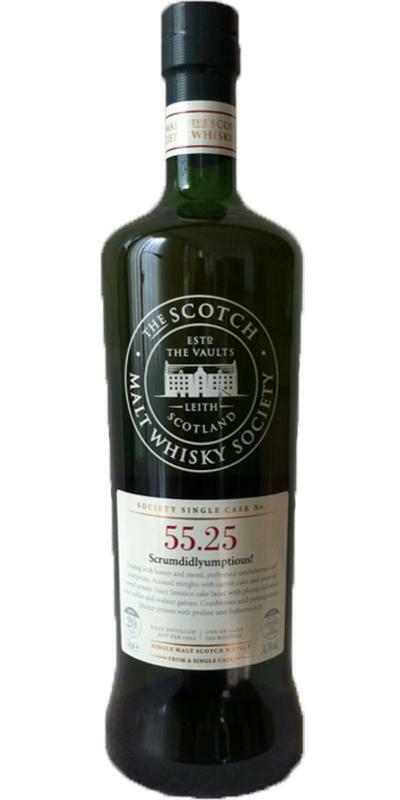 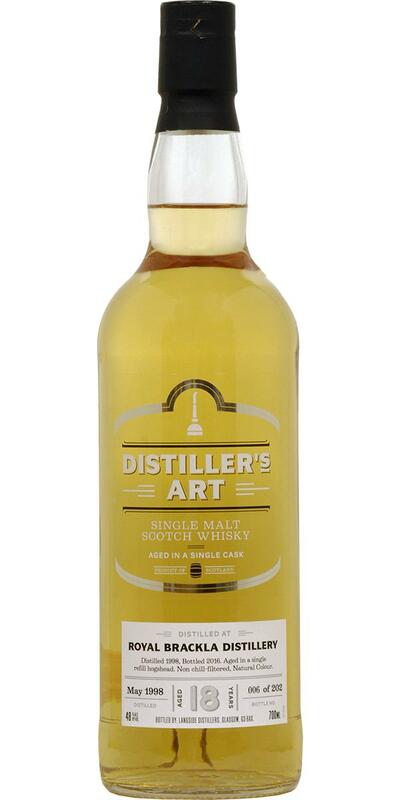 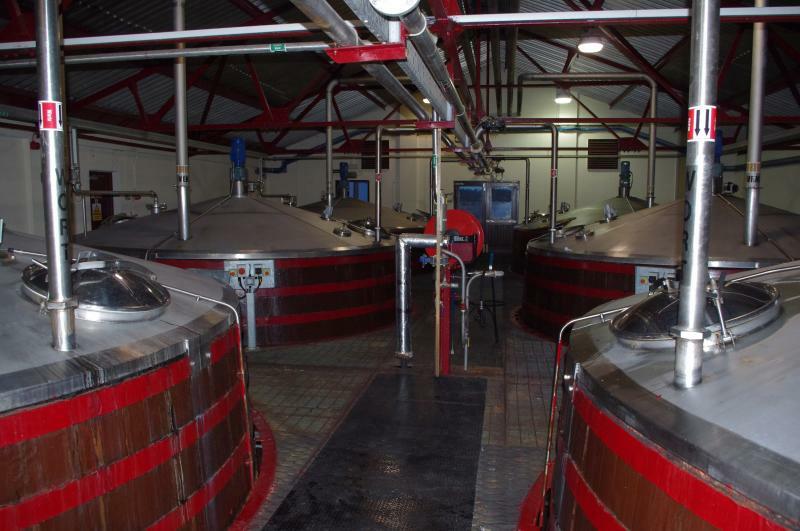 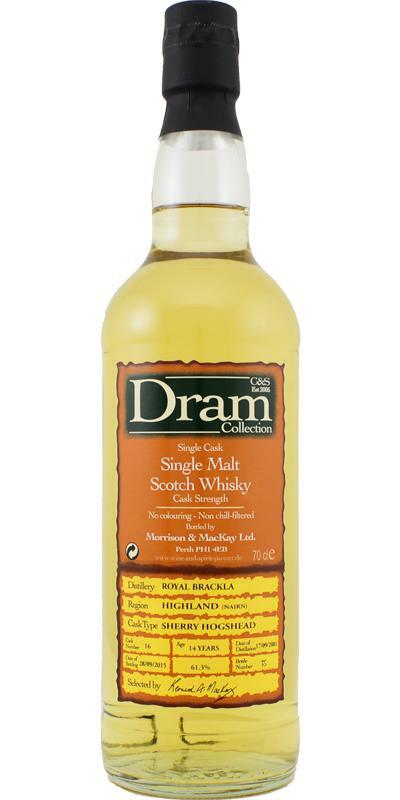 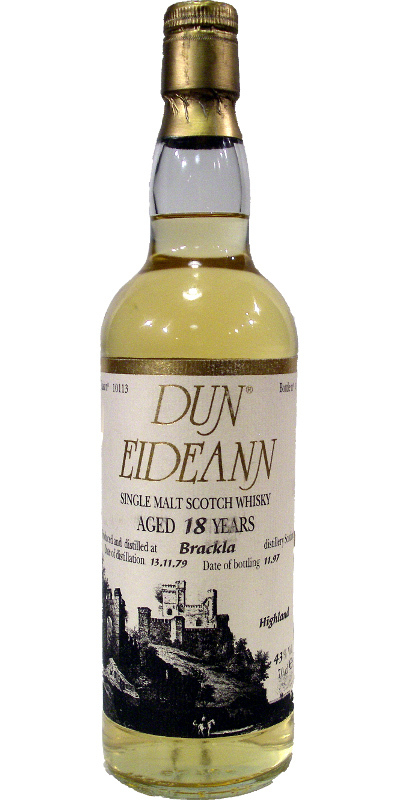 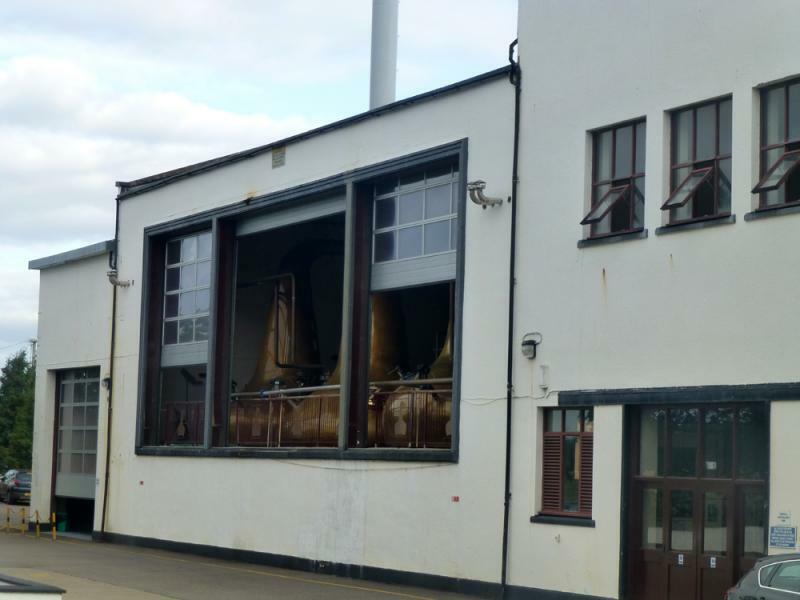 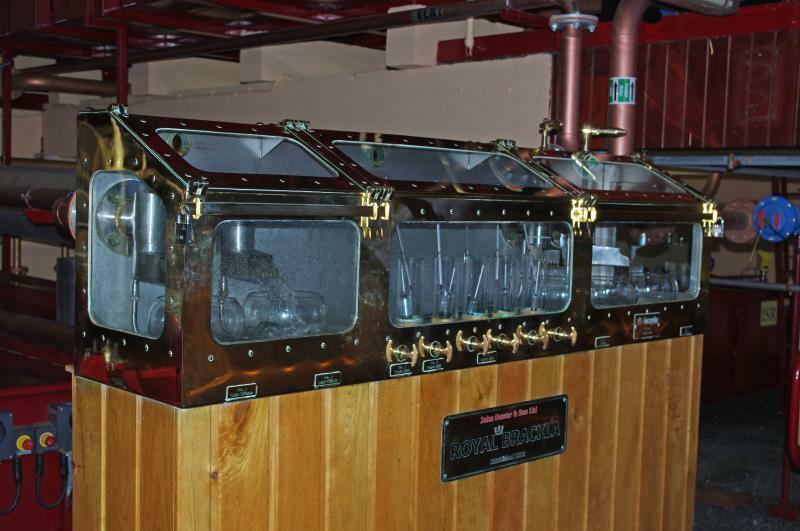 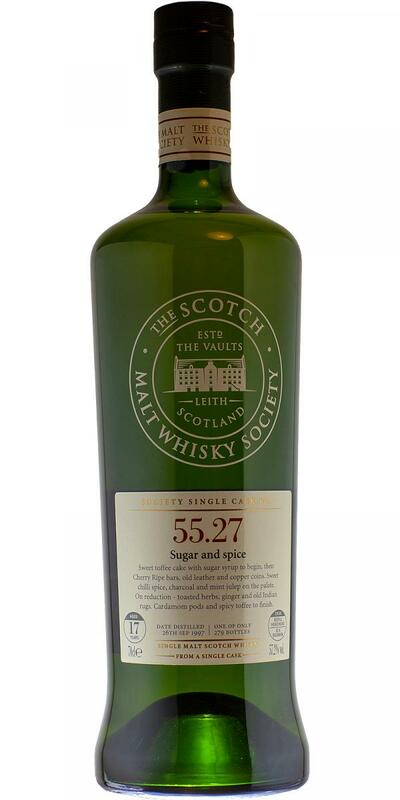 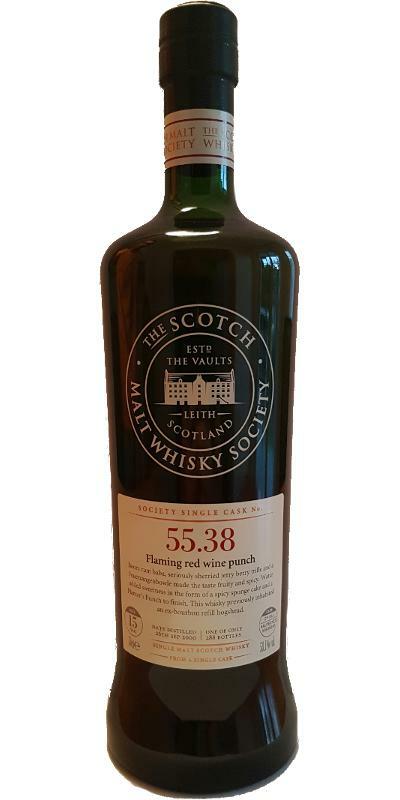 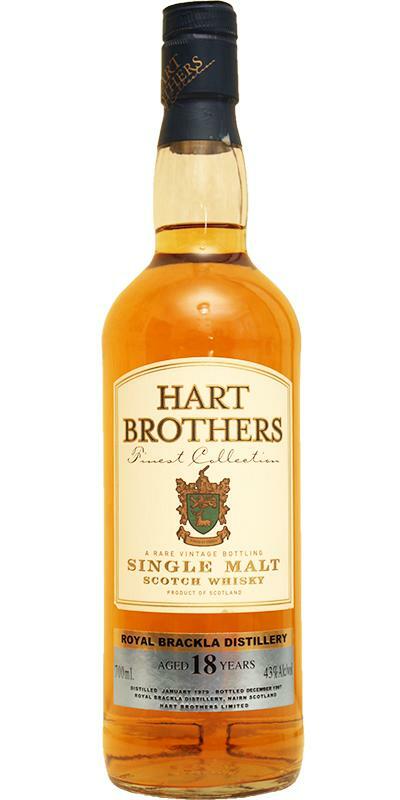 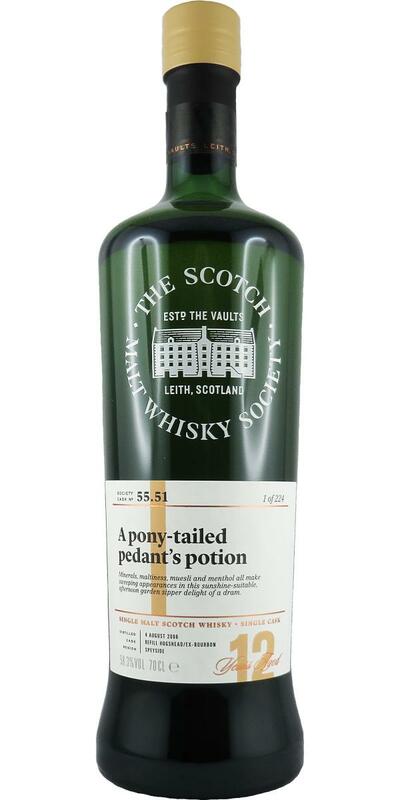 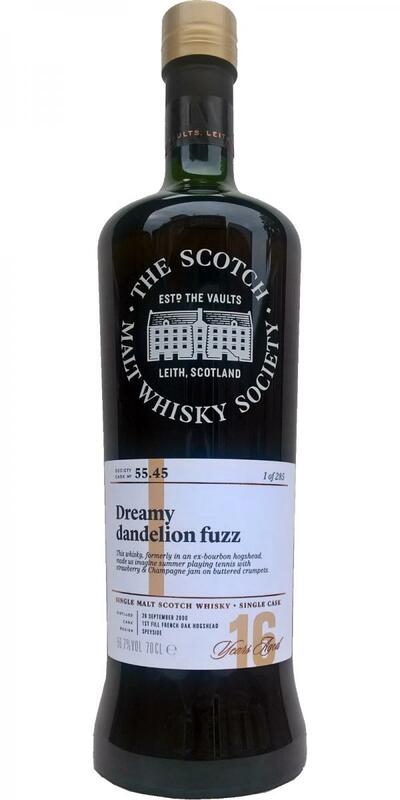 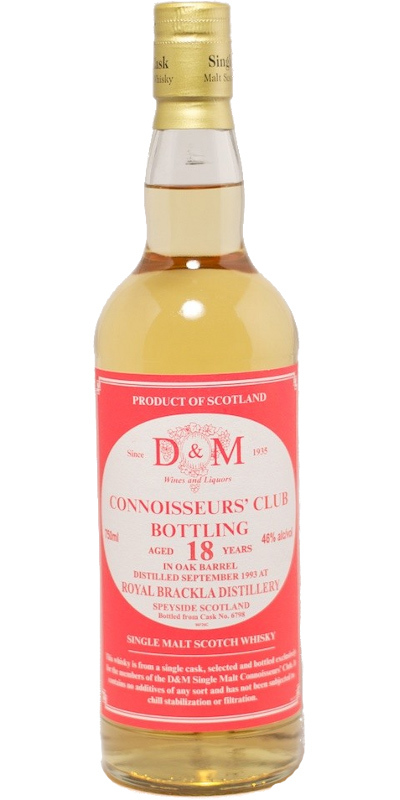 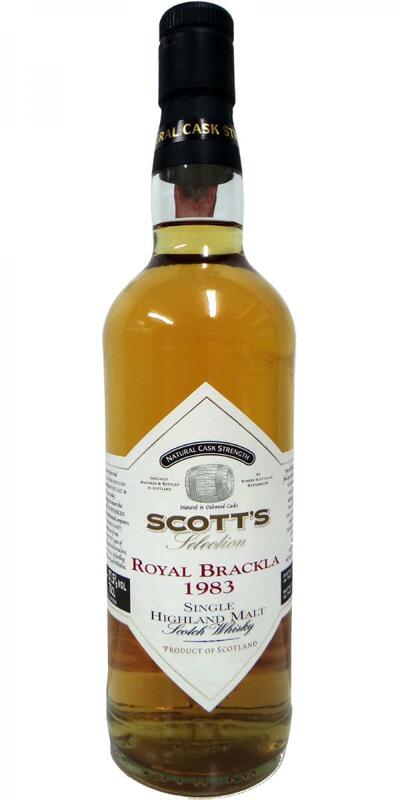 Royal Brackla 26-year-old D&M Aficionados' Club 26 61.25 % Vol. 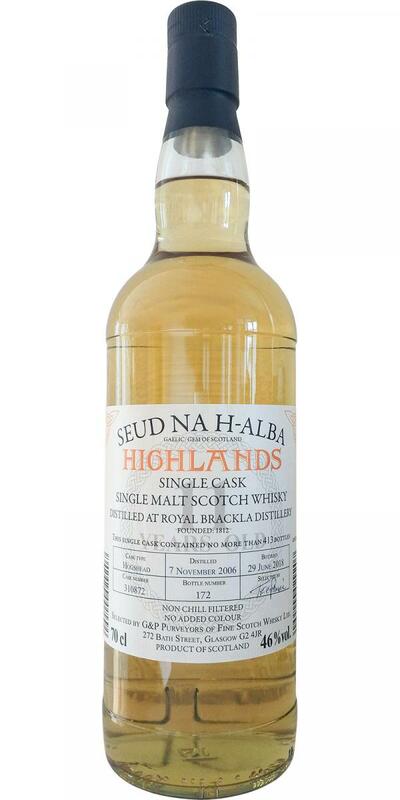 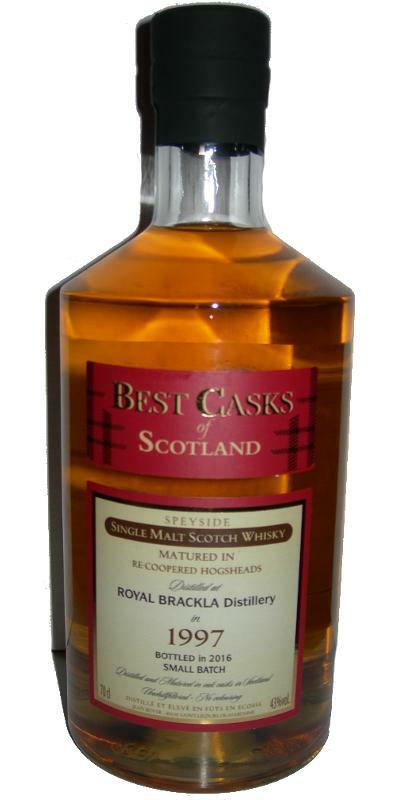 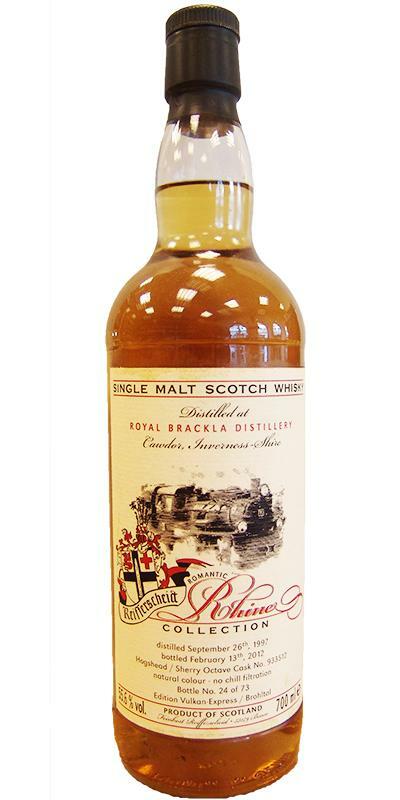 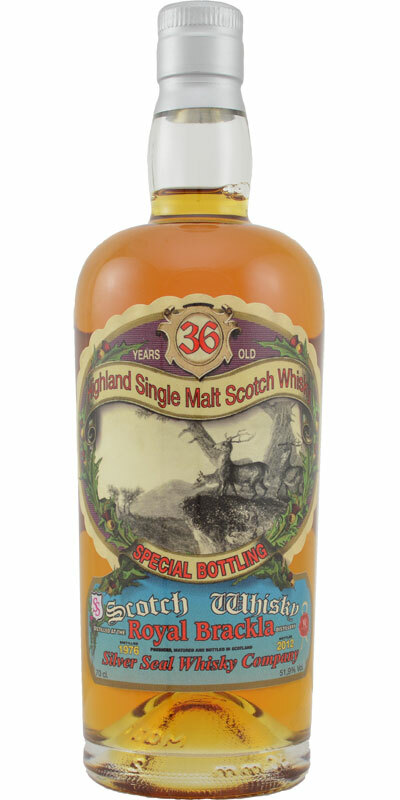 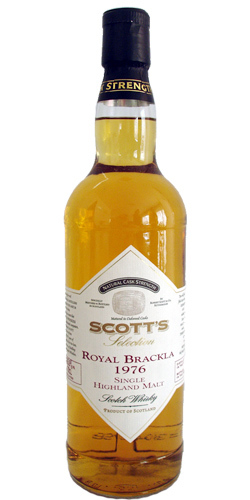 Royal Brackla 1972 GM Spirit of Scotland 18 40.0 % Vol. 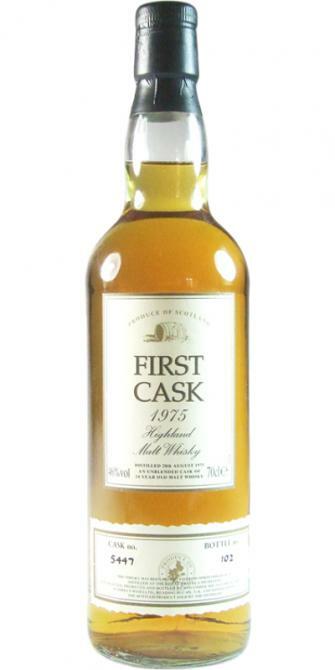 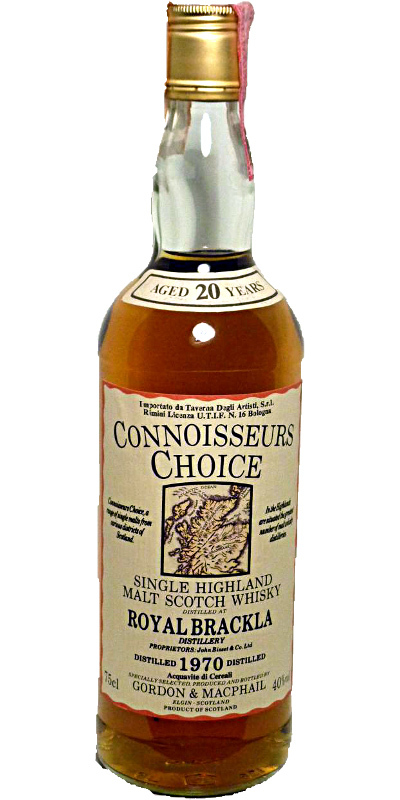 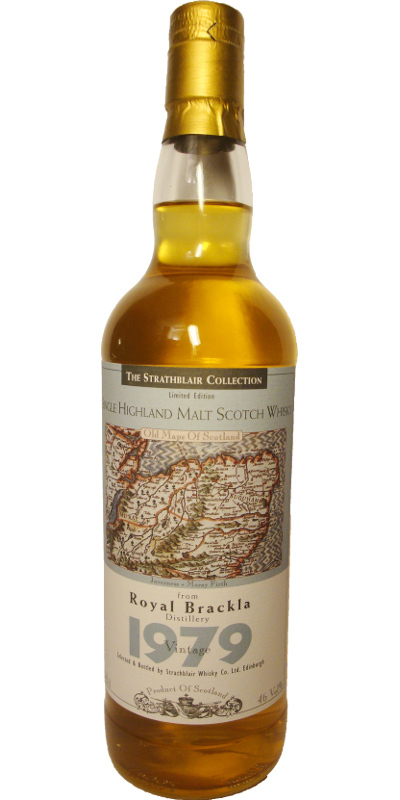 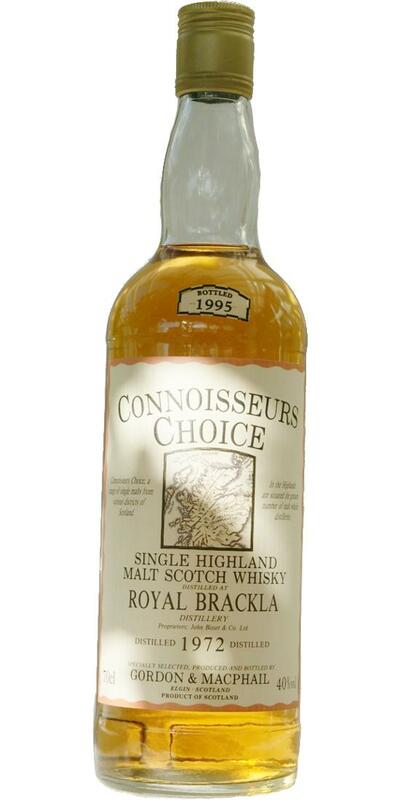 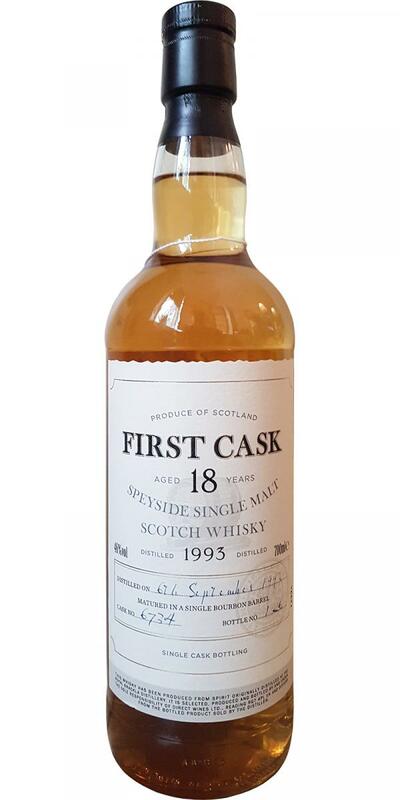 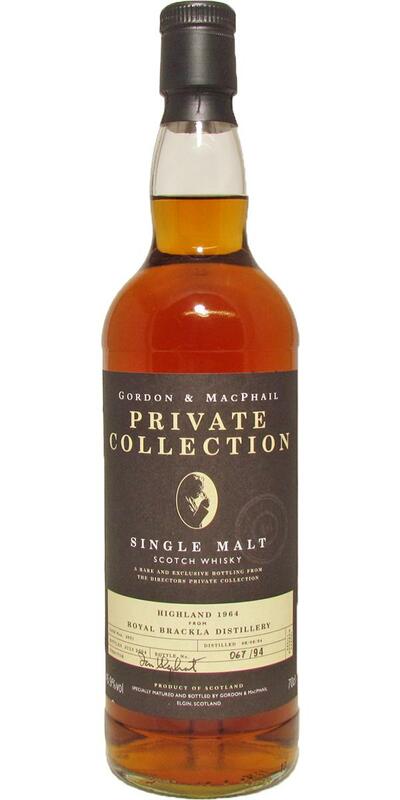 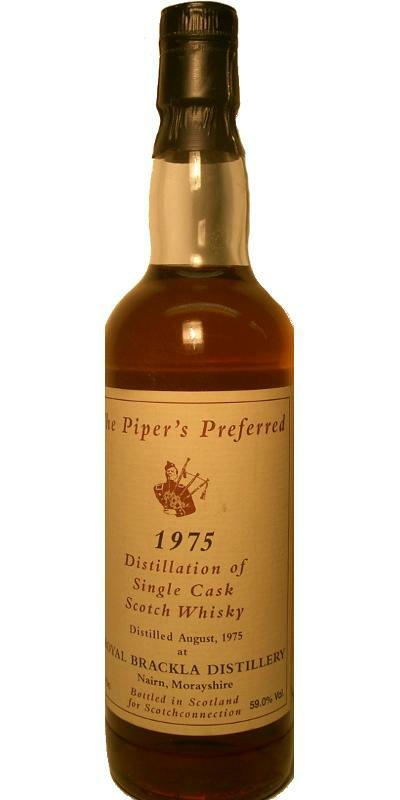 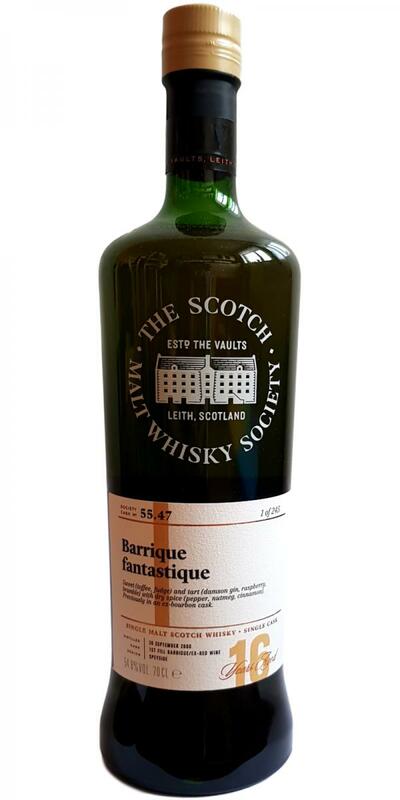 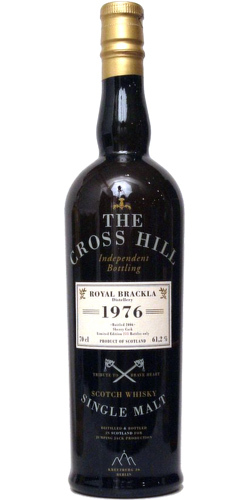 Royal Brackla 1979 HB Finest Collection - Celebrations import 18 43.0 % Vol. 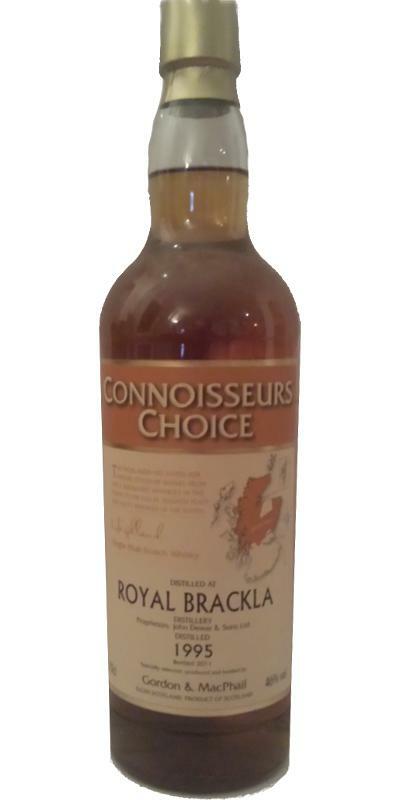 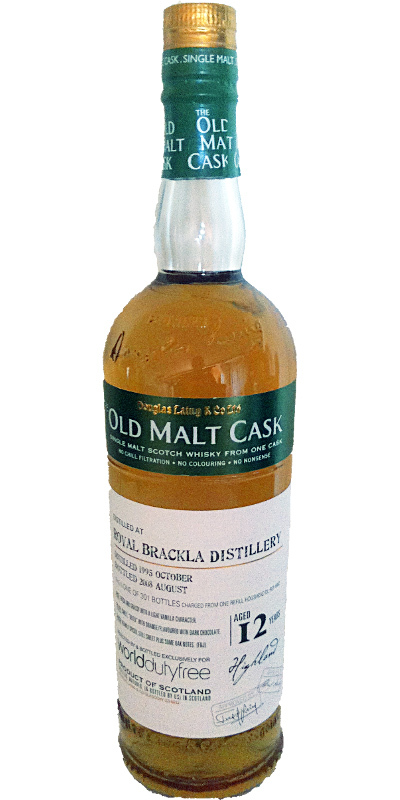 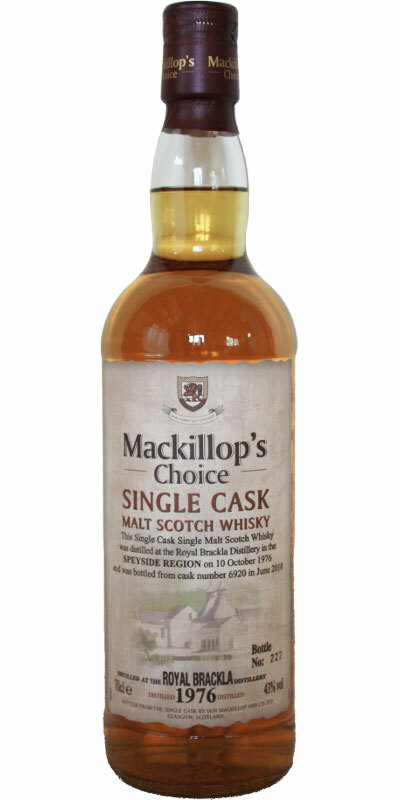 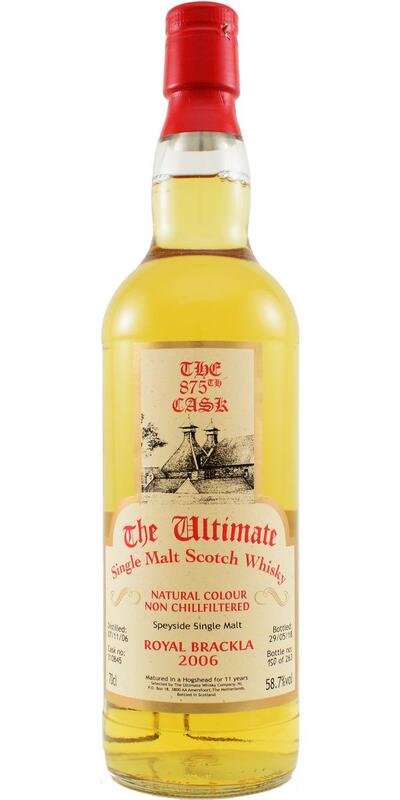 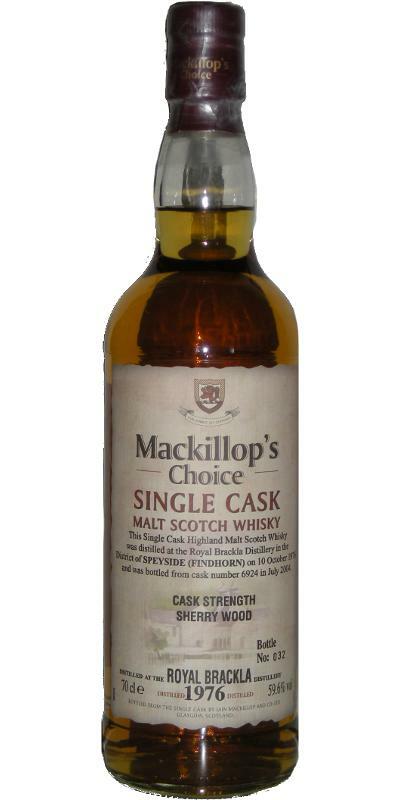 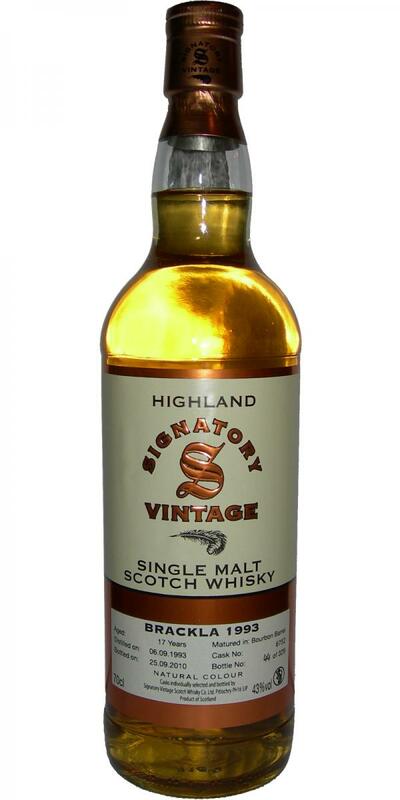 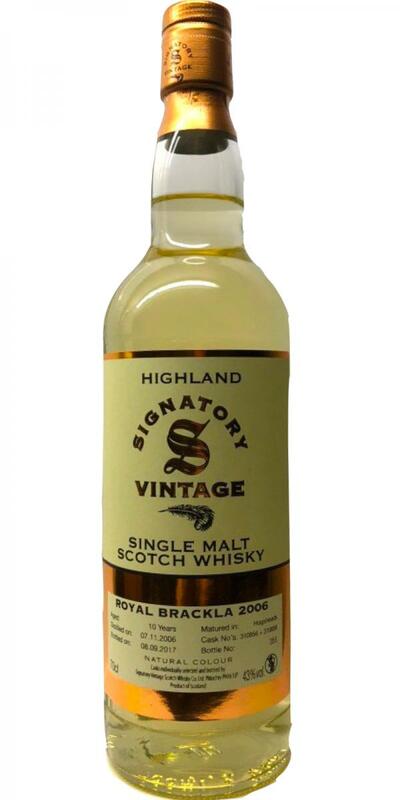 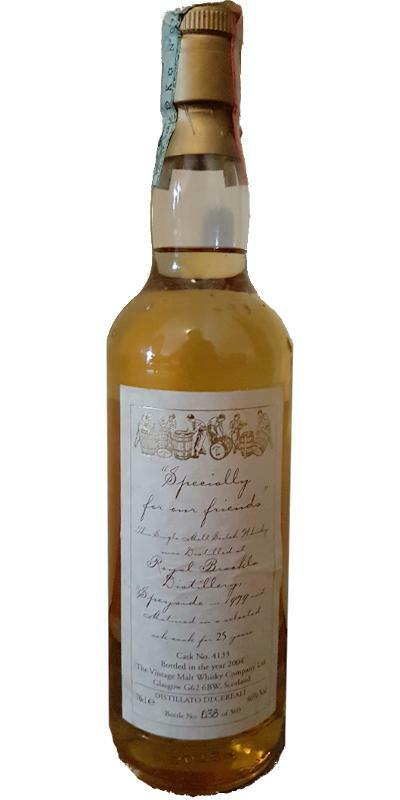 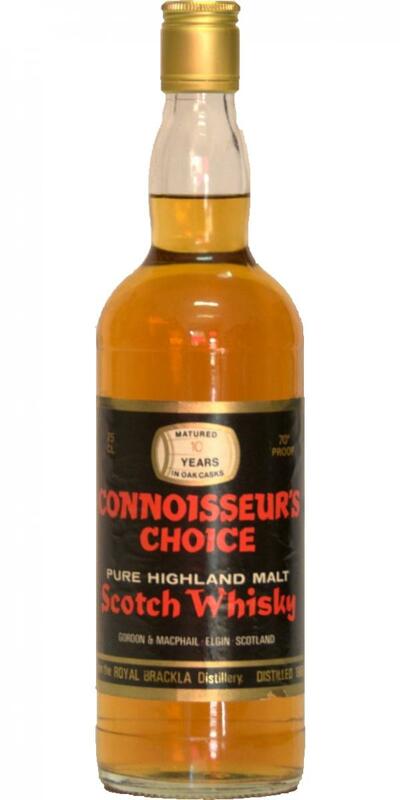 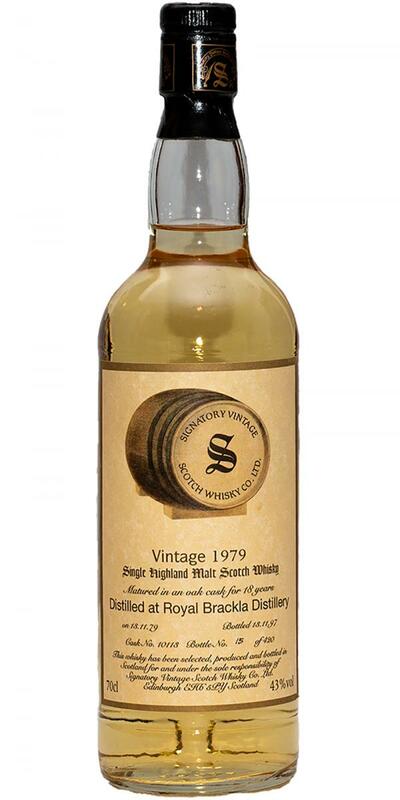 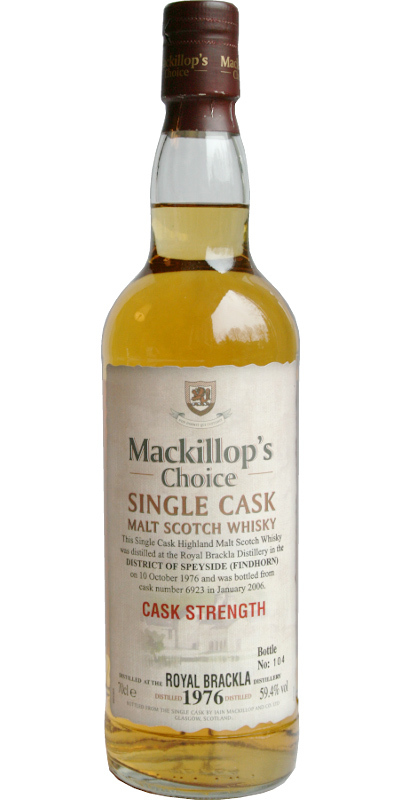 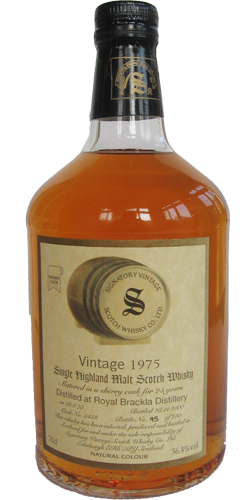 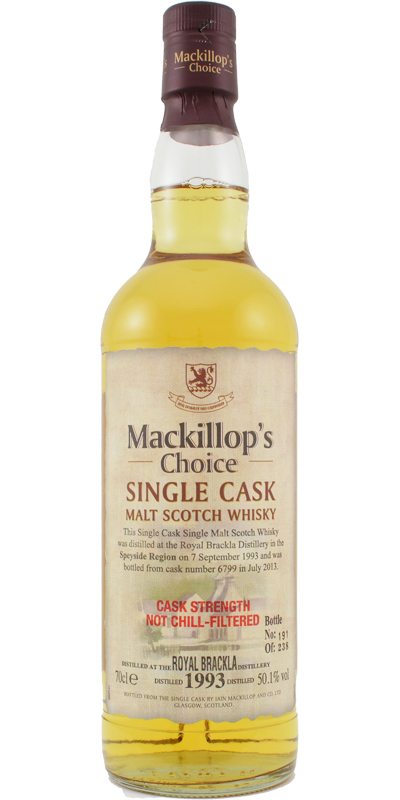 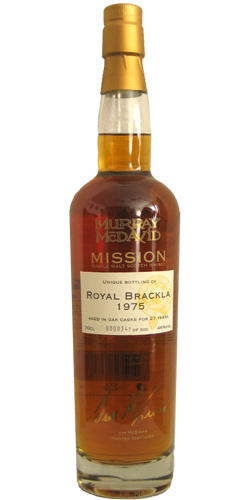 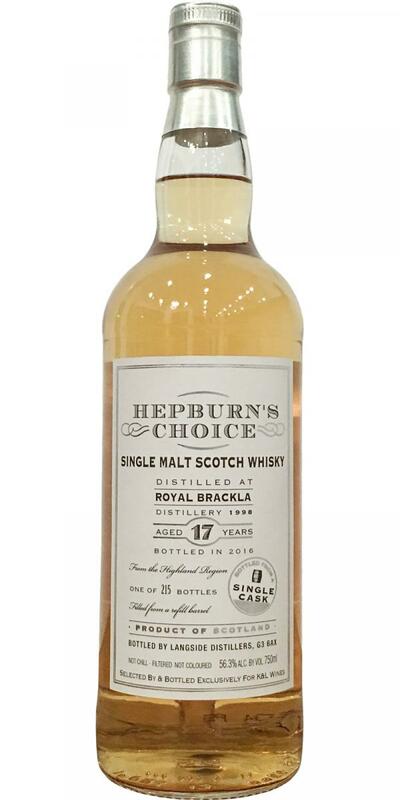 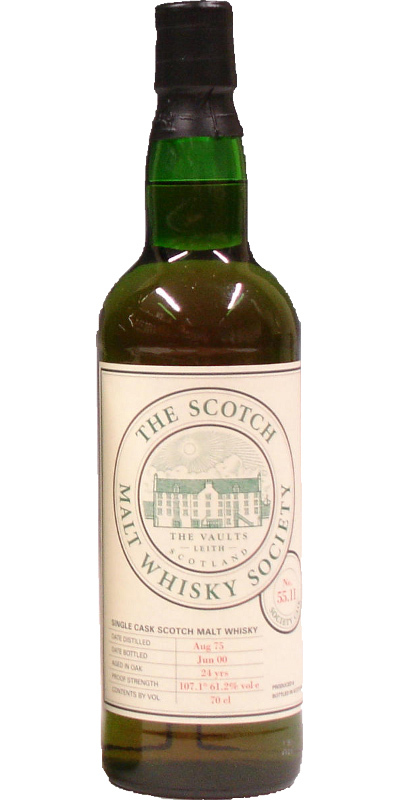 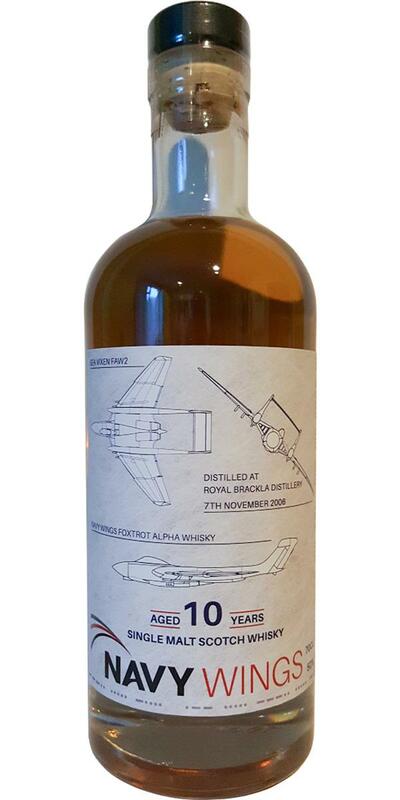 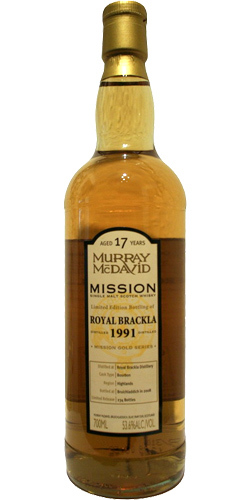 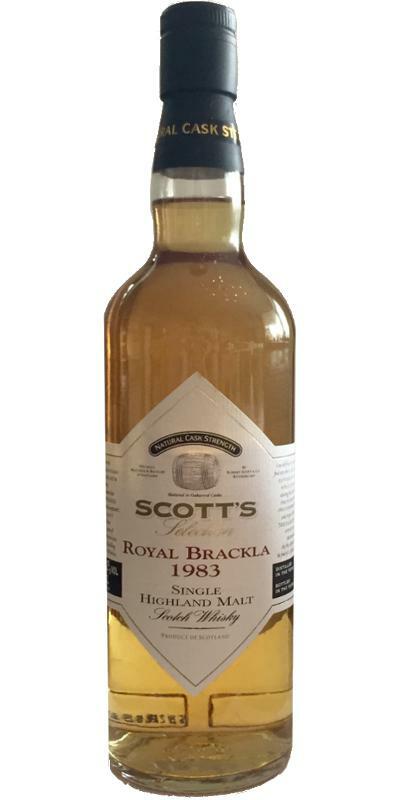 Royal Brackla 1975 JM Fine Malt Selection - Miniature 19 61.9 % Vol. 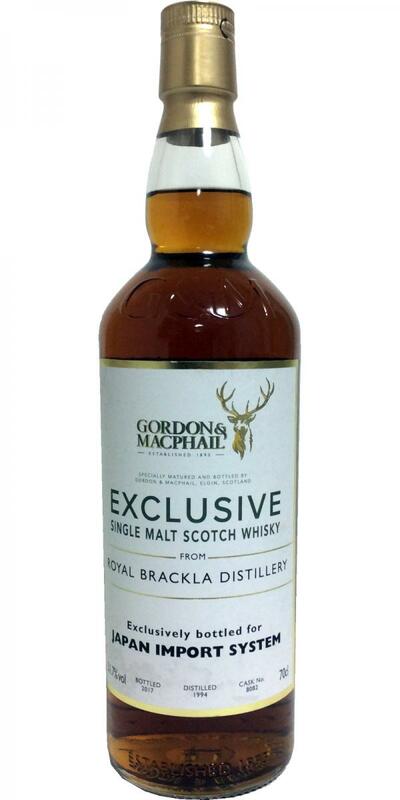 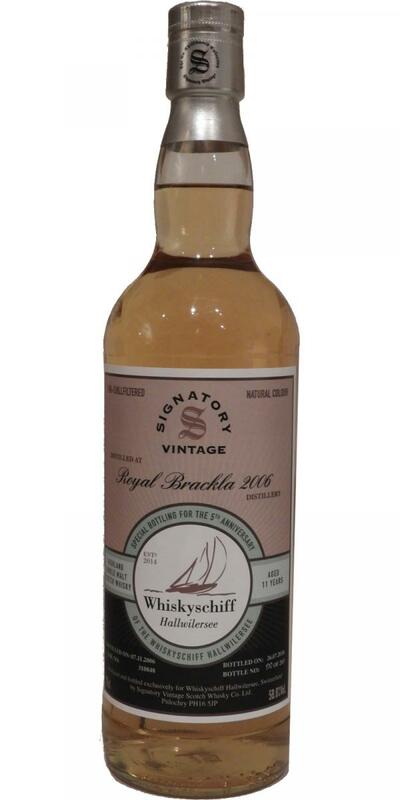 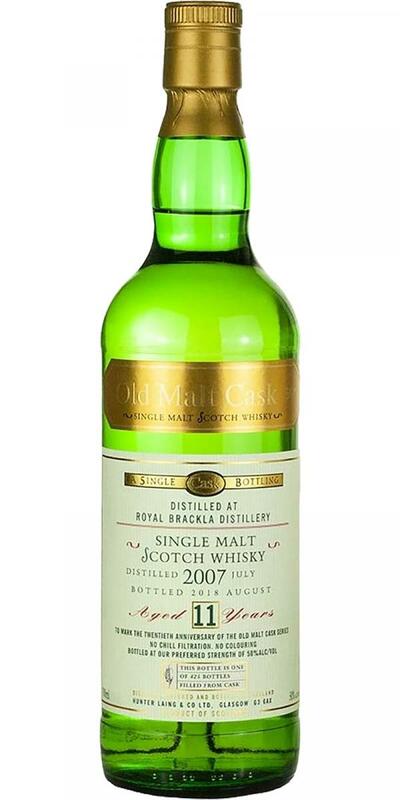 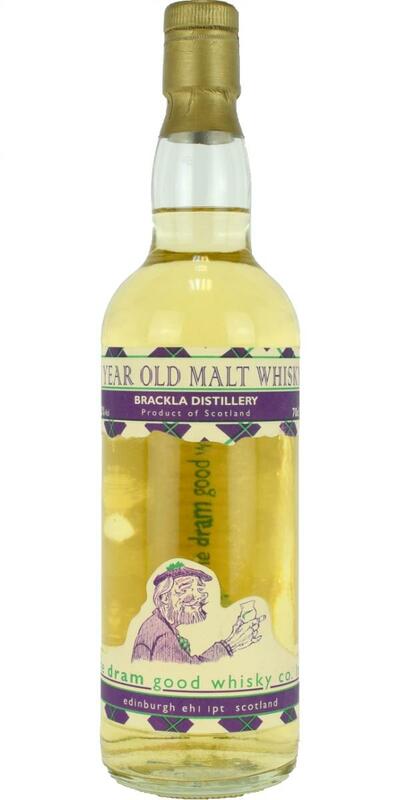 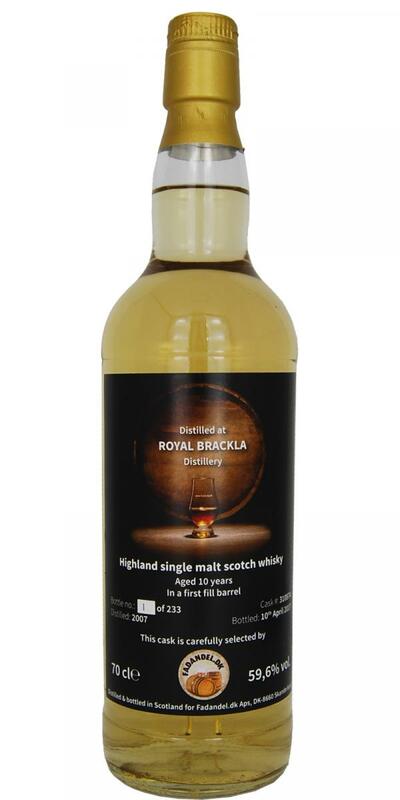 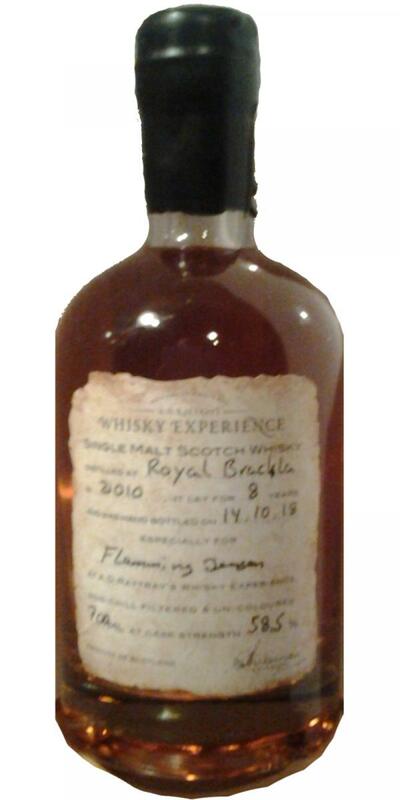 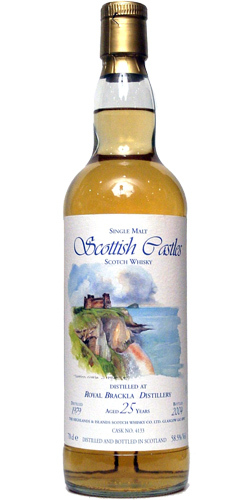 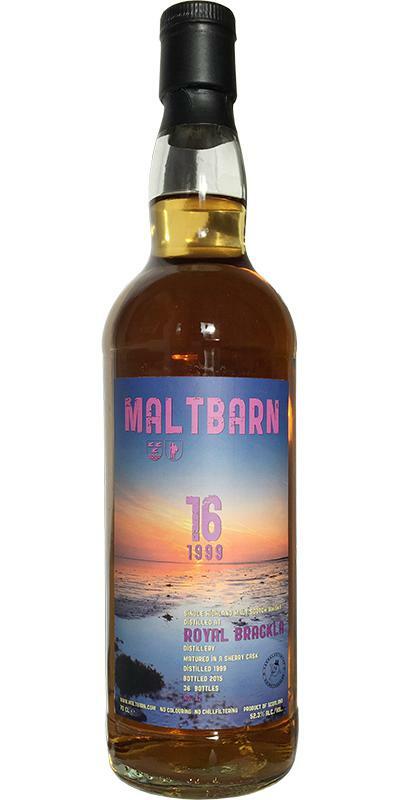 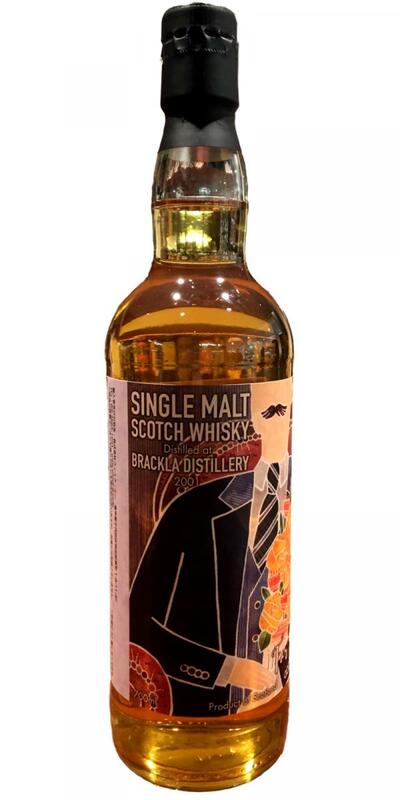 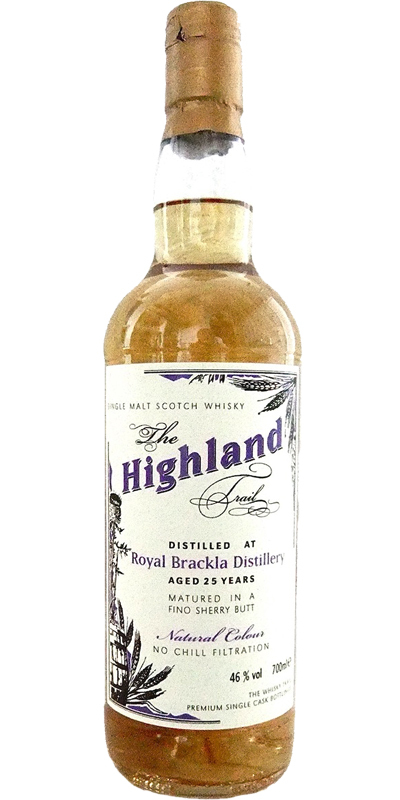 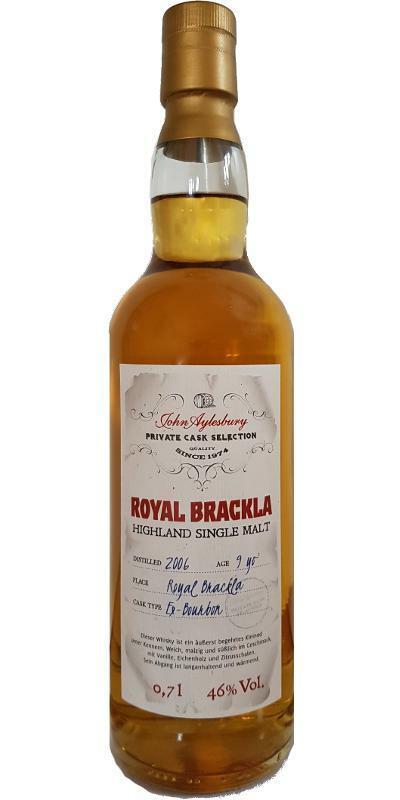 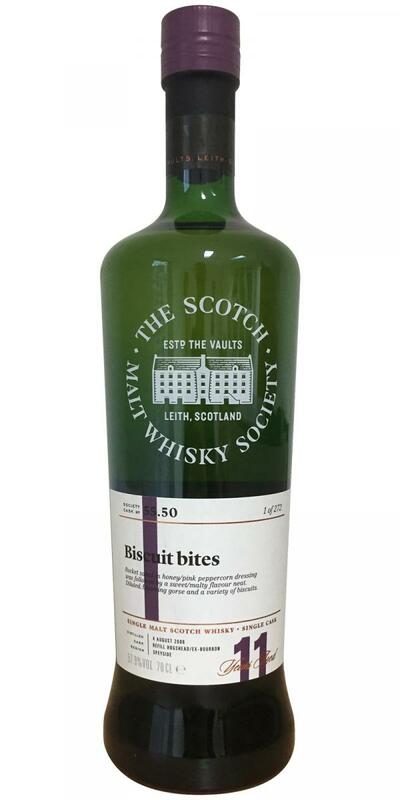 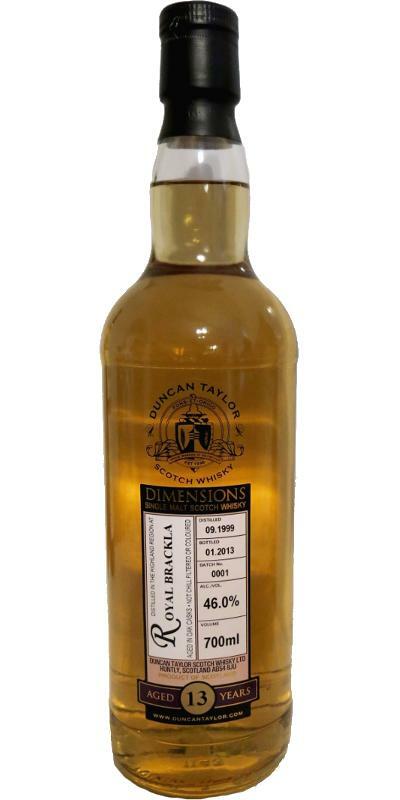 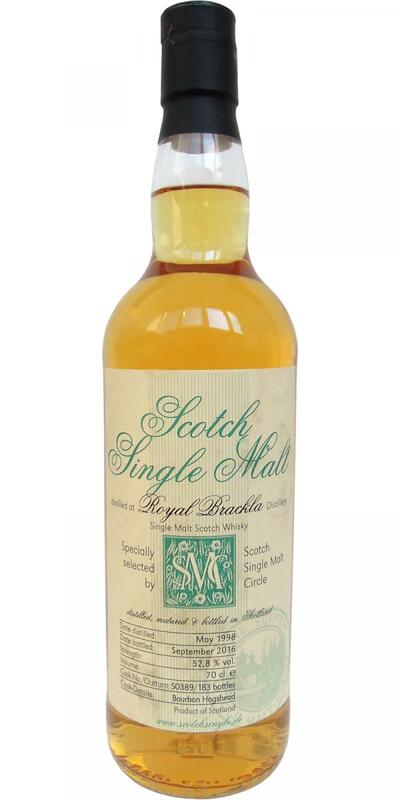 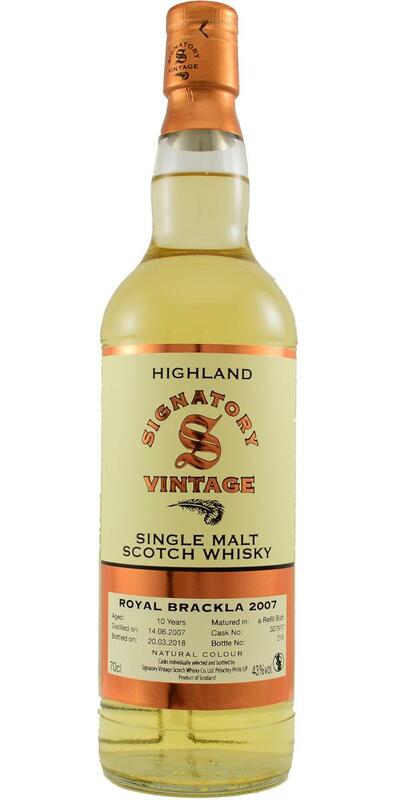 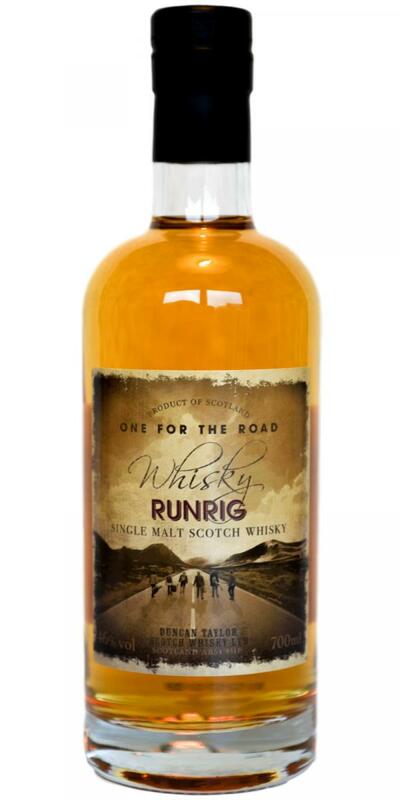 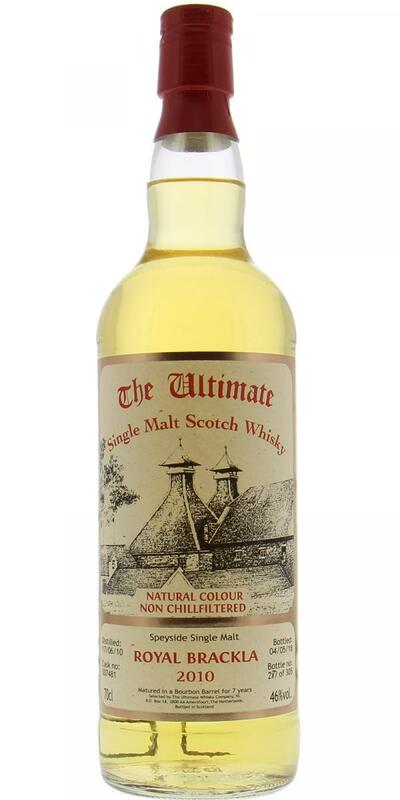 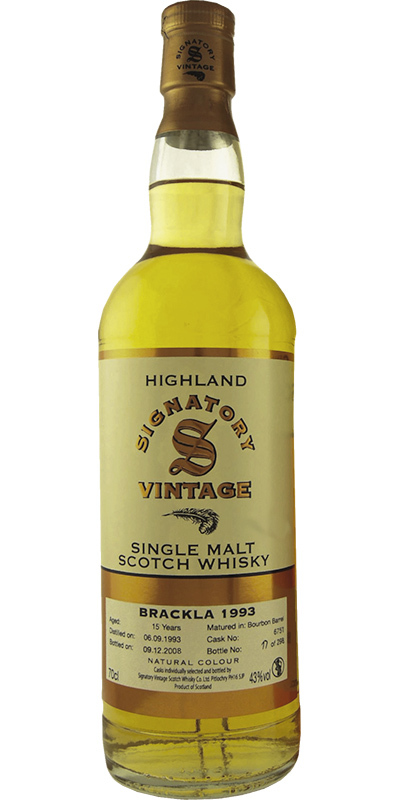 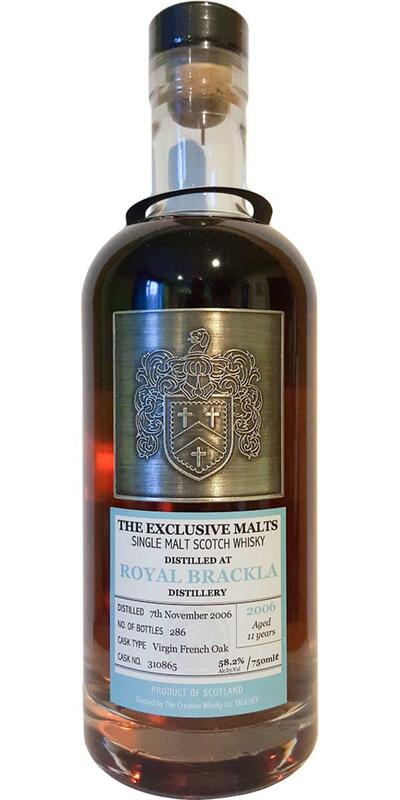 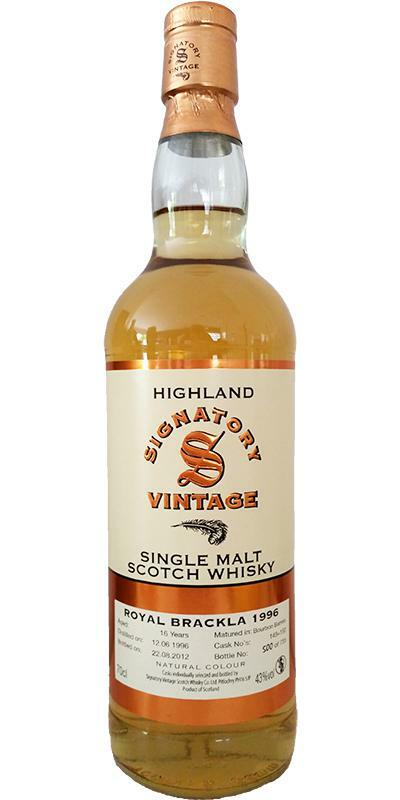 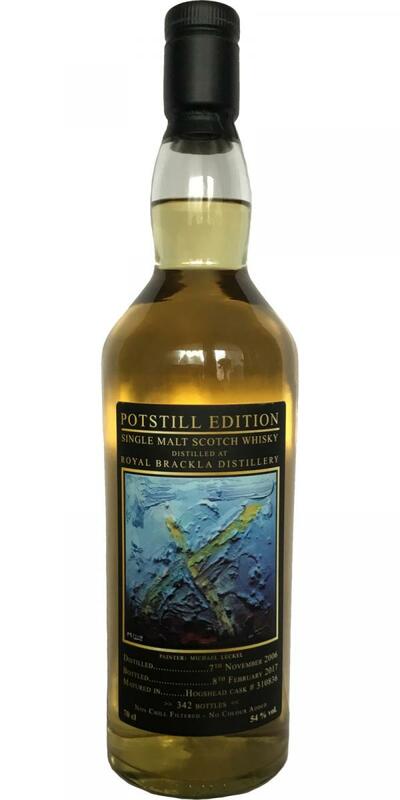 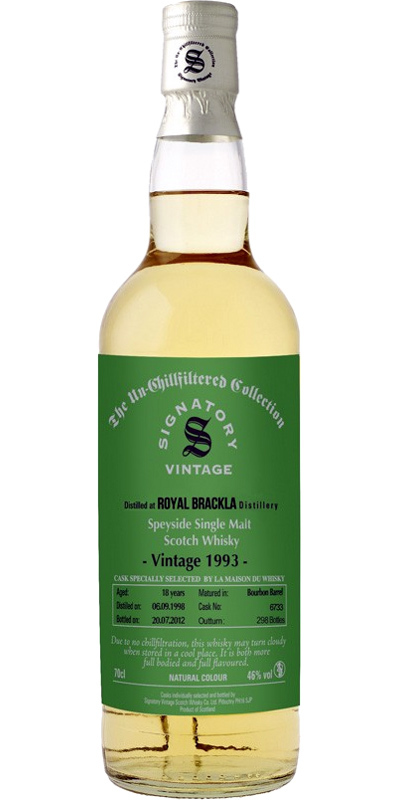 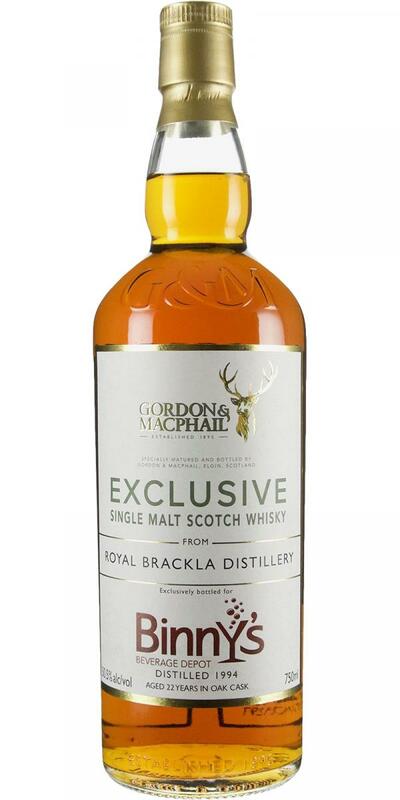 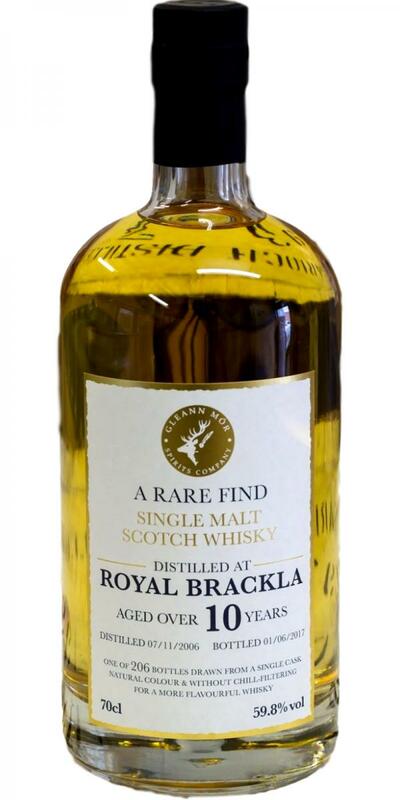 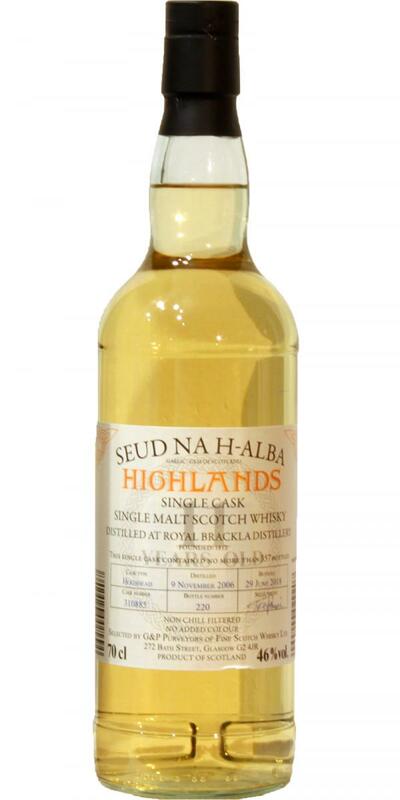 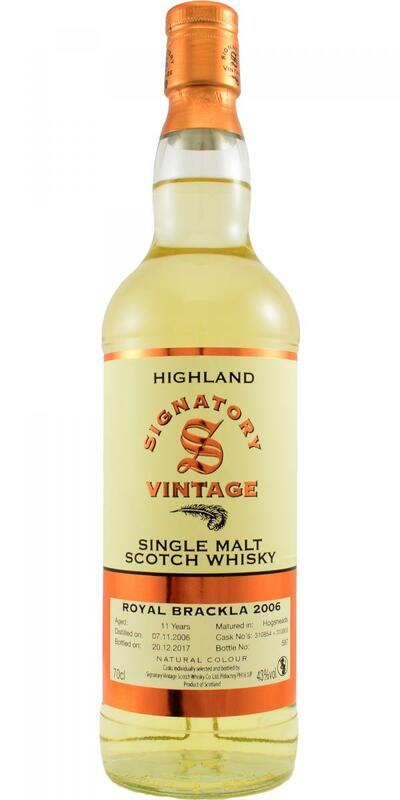 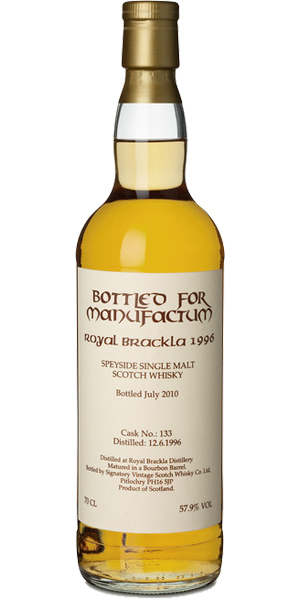 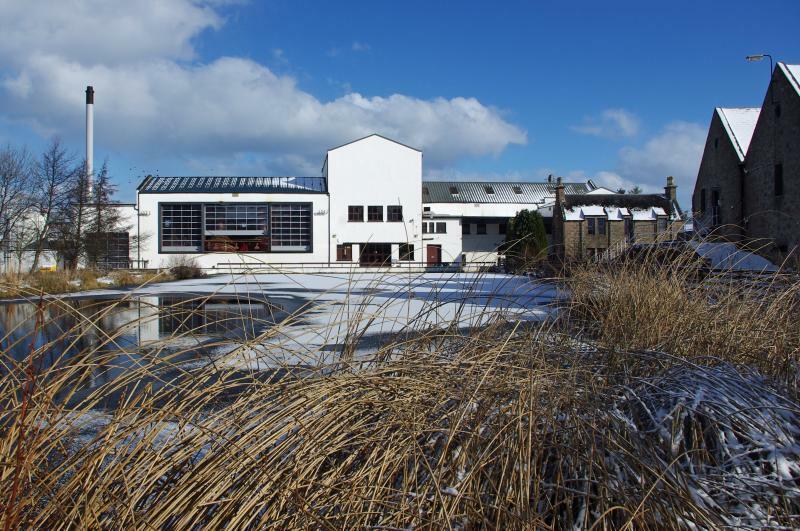 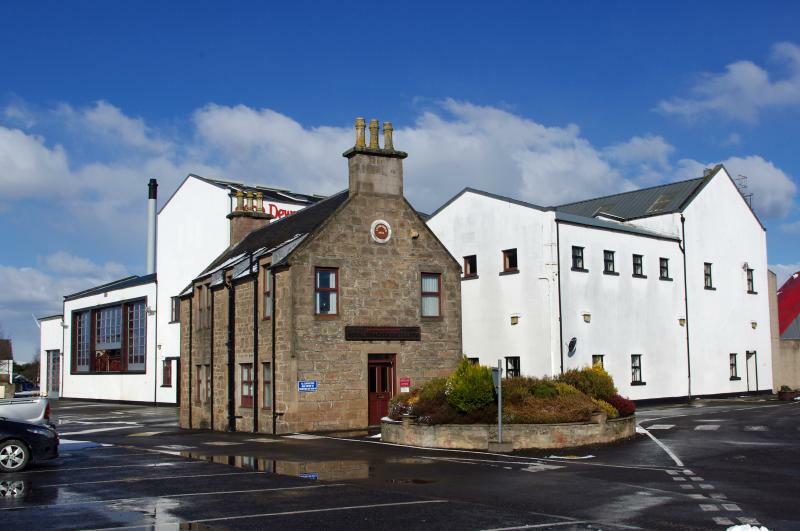 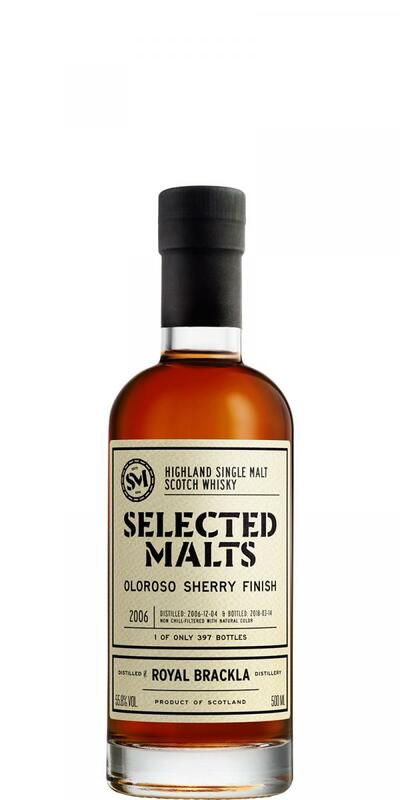 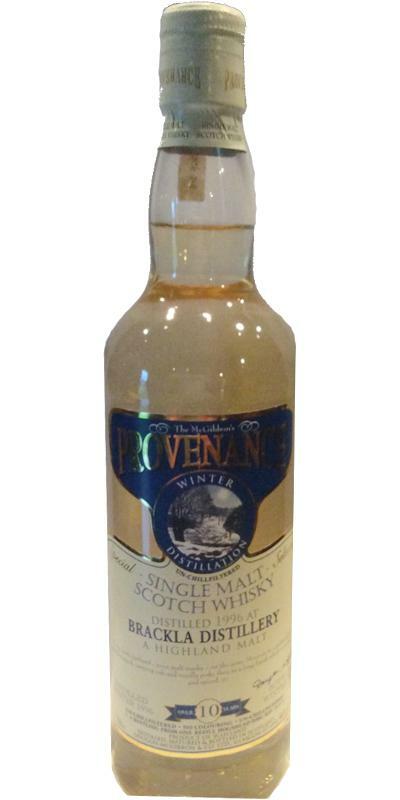 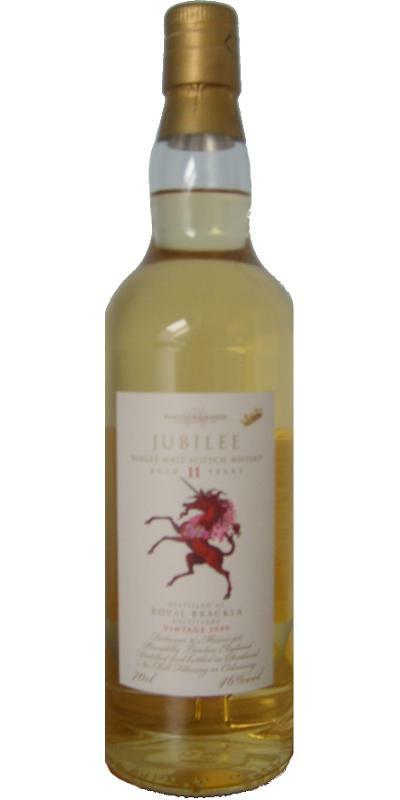 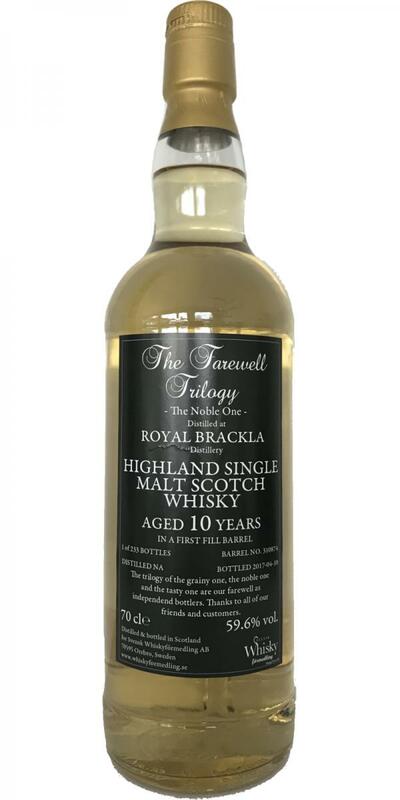 Royal Brackla 1982 JM Fine Malt Selection - Miniature 10 43.0 % Vol. 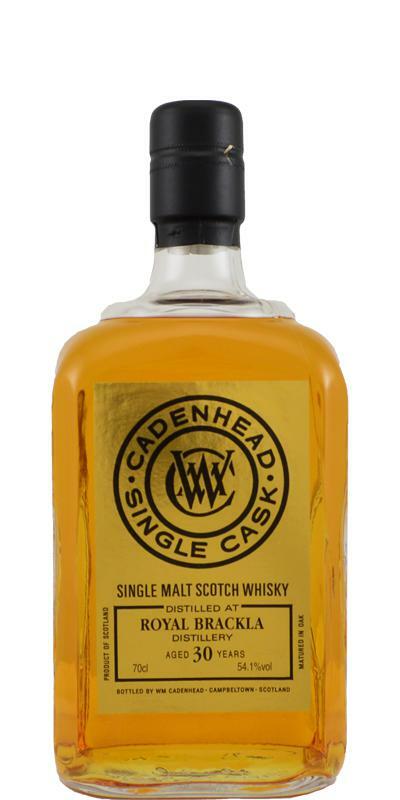 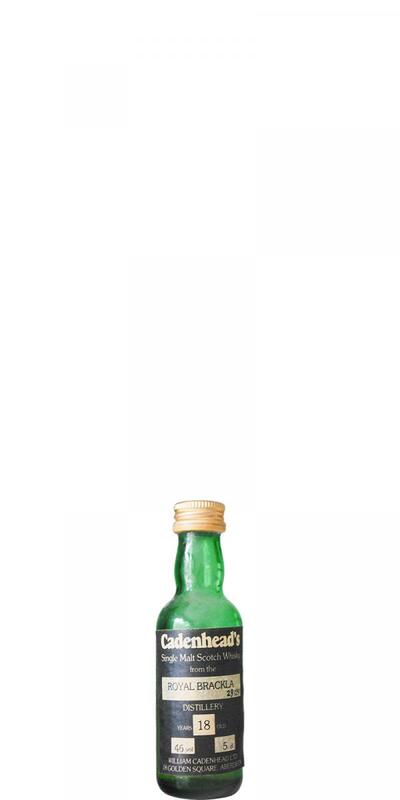 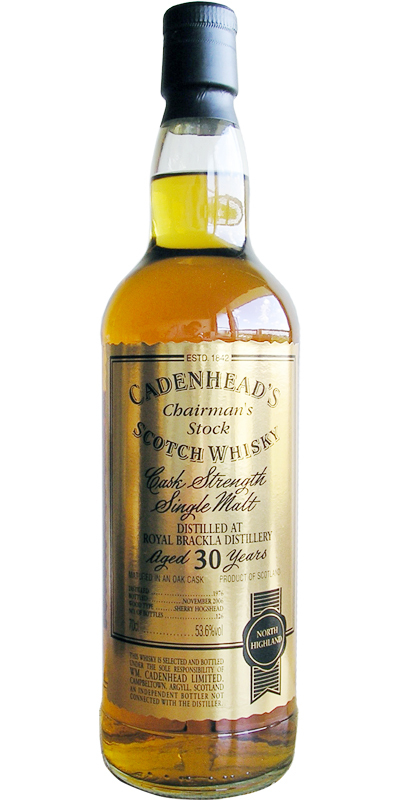 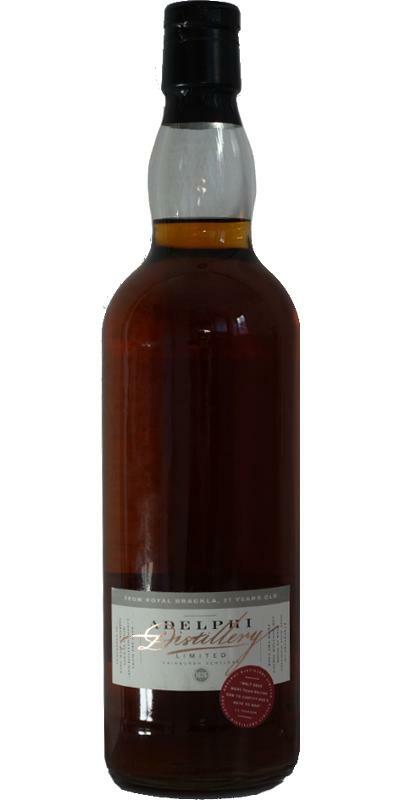 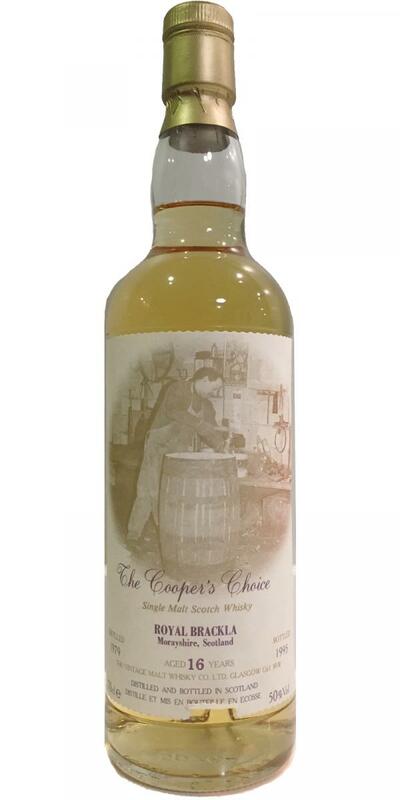 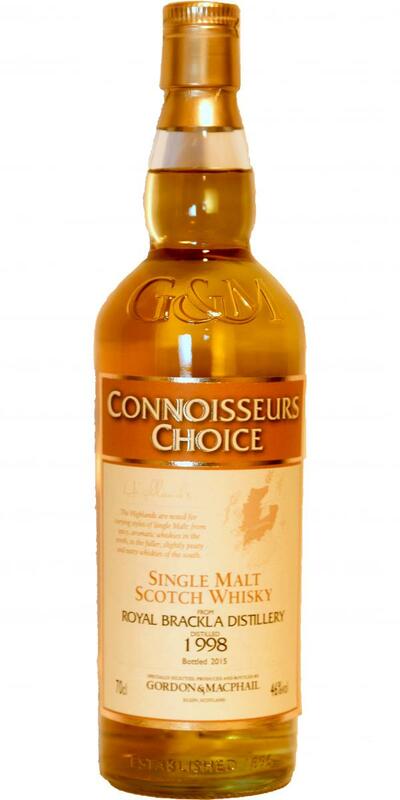 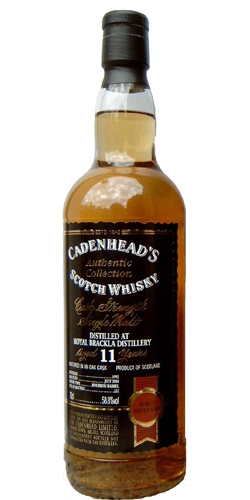 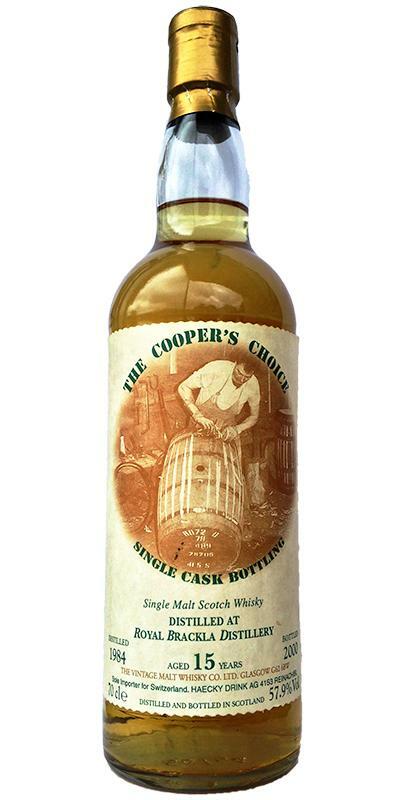 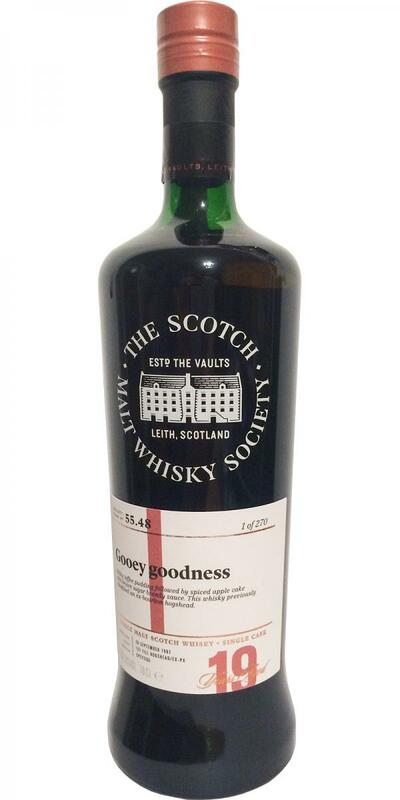 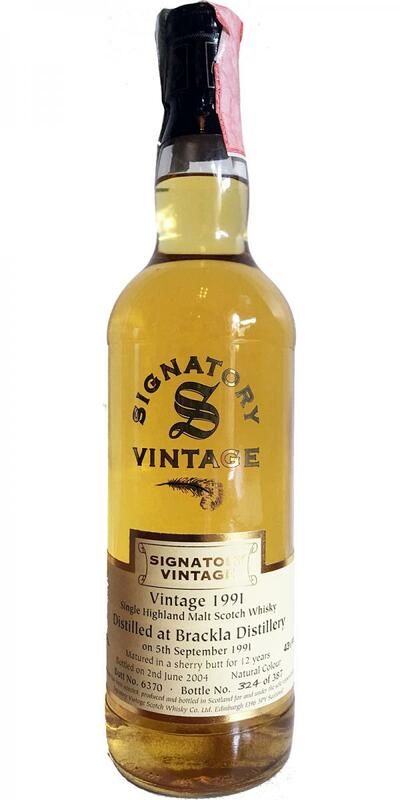 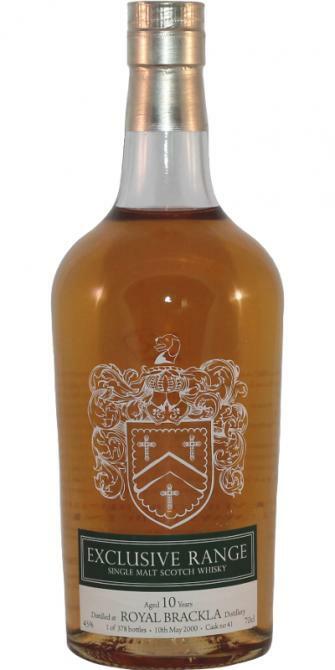 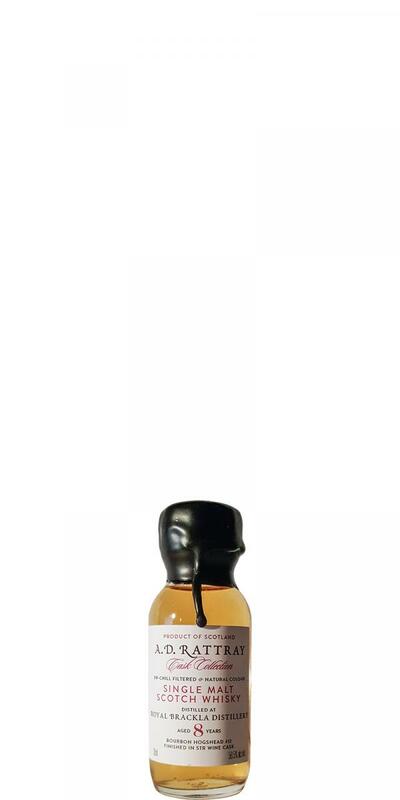 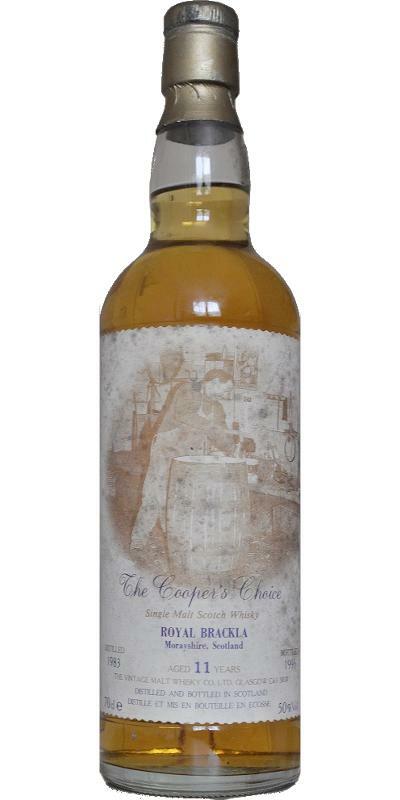 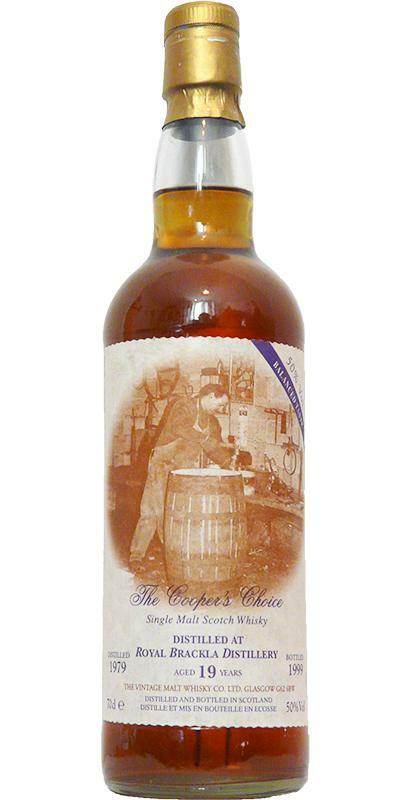 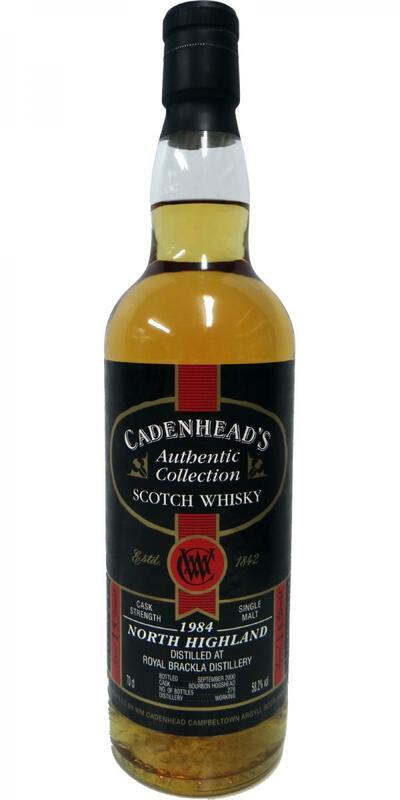 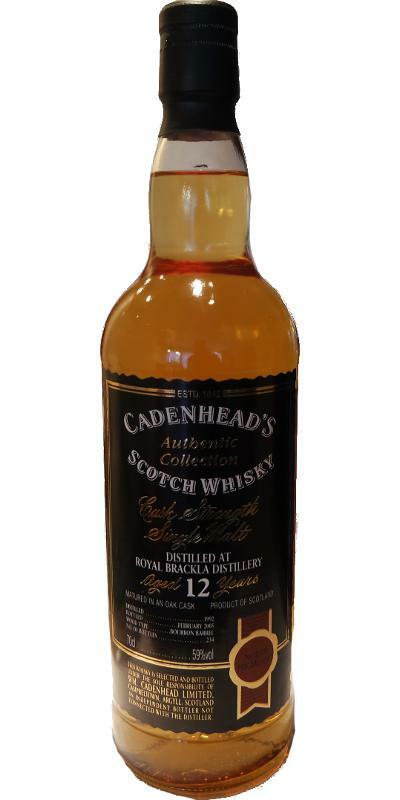 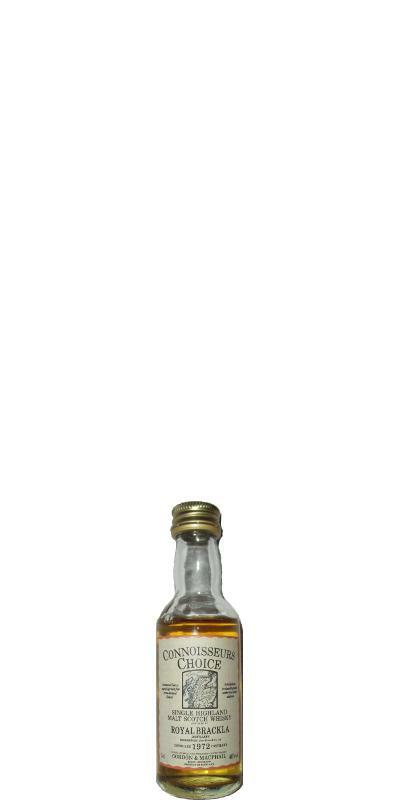 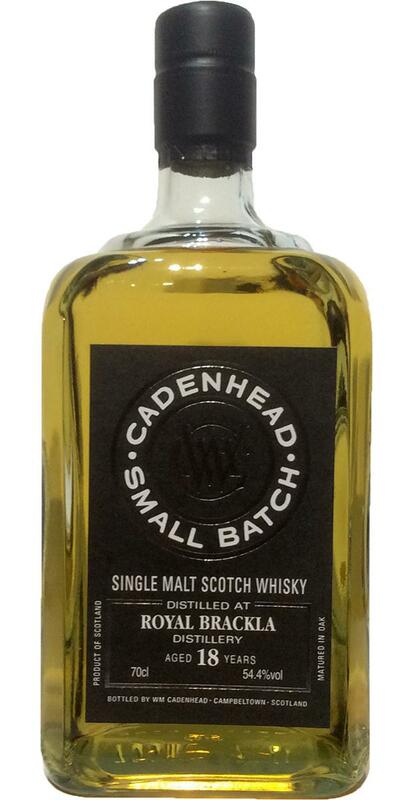 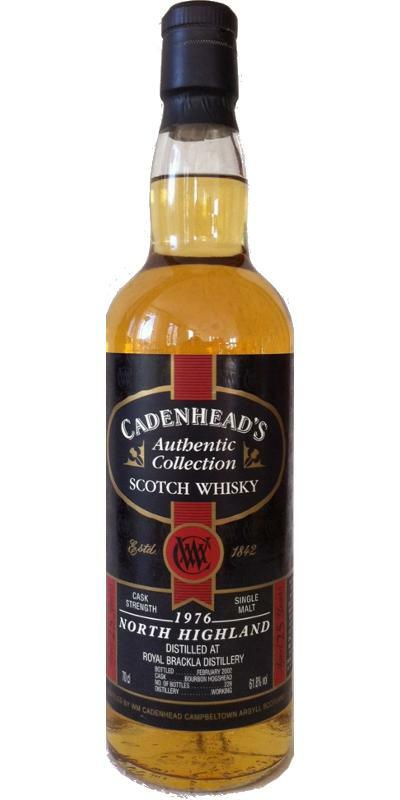 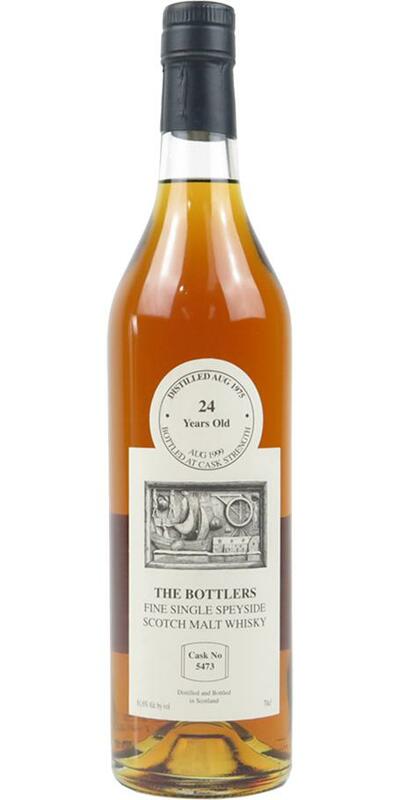 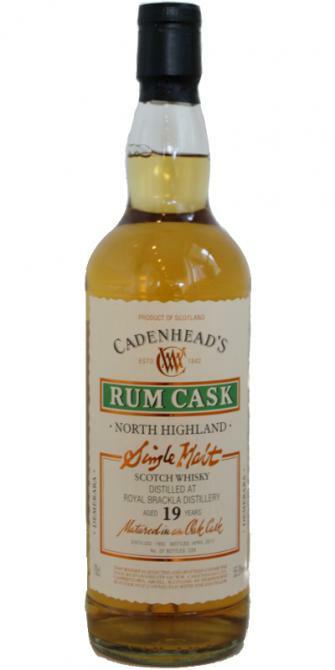 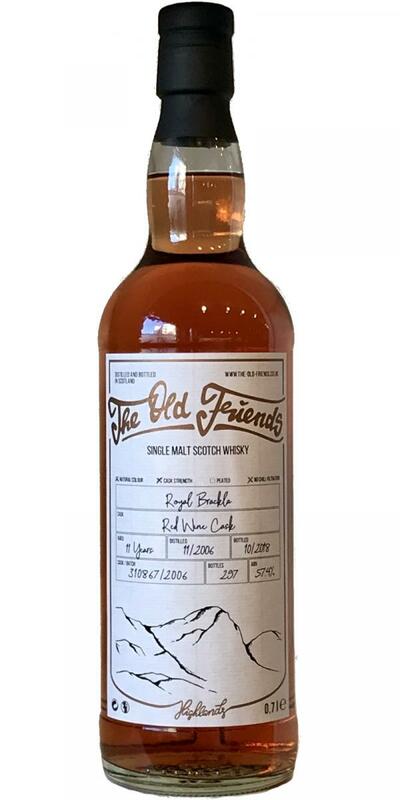 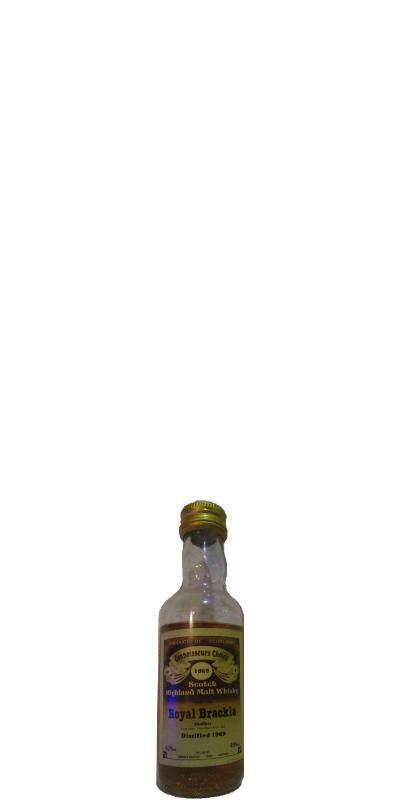 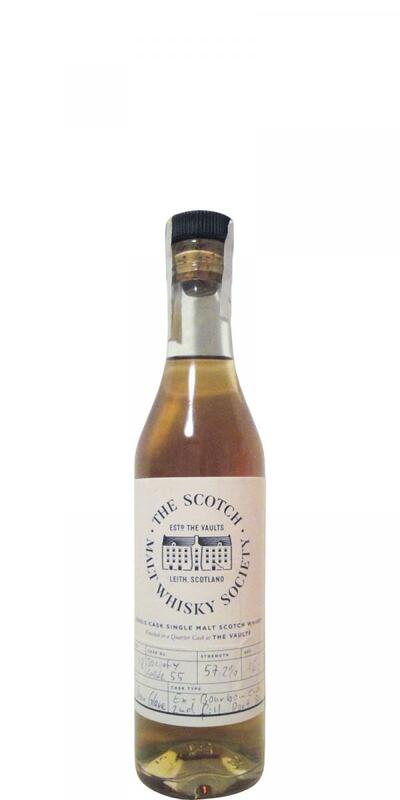 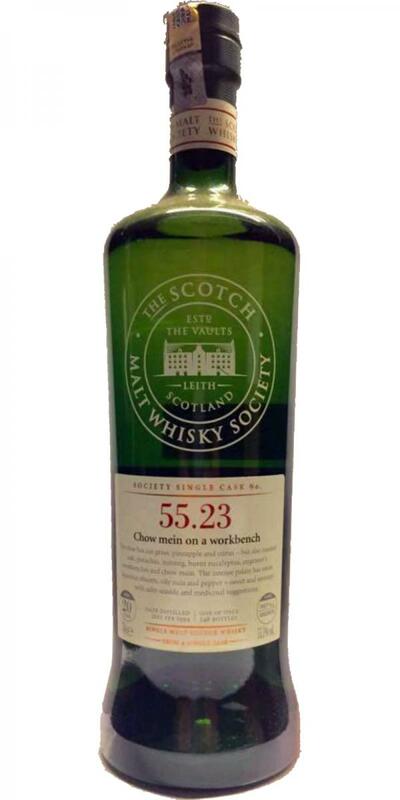 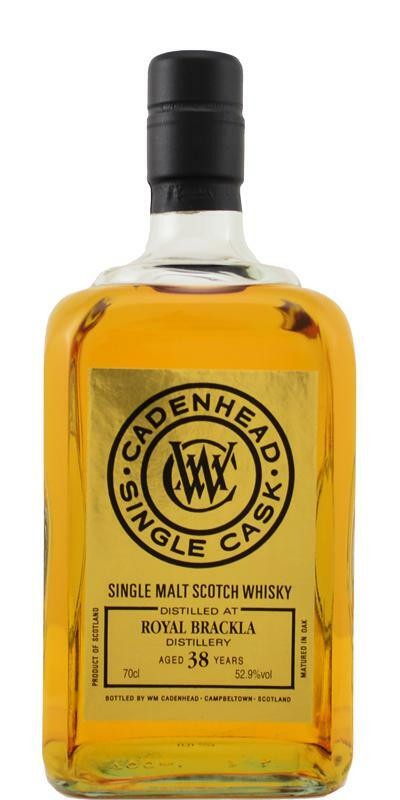 The Dram Good Whisky Co.
Cawdordew 19-year-old WC Miniature 19 55.0 % Vol. 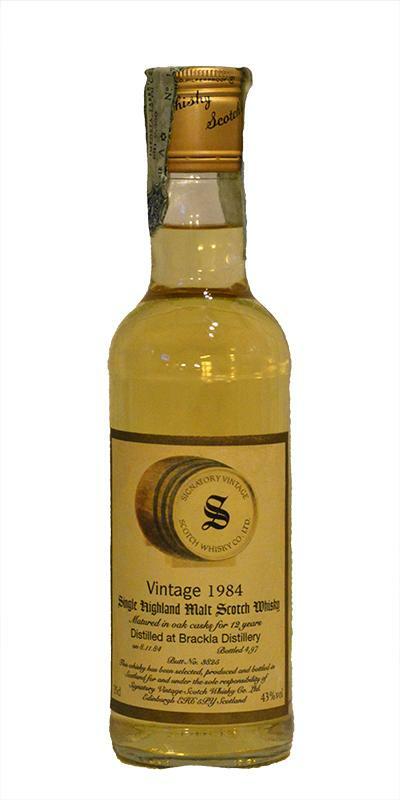 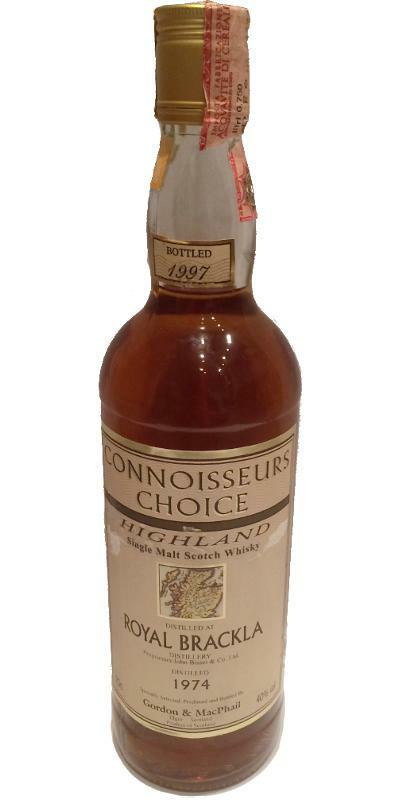 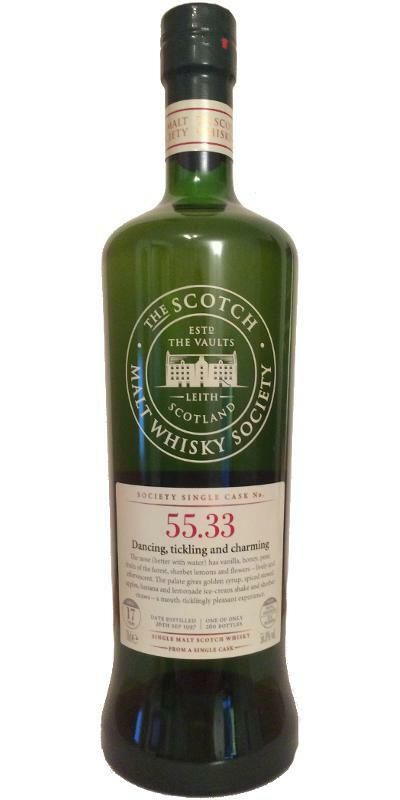 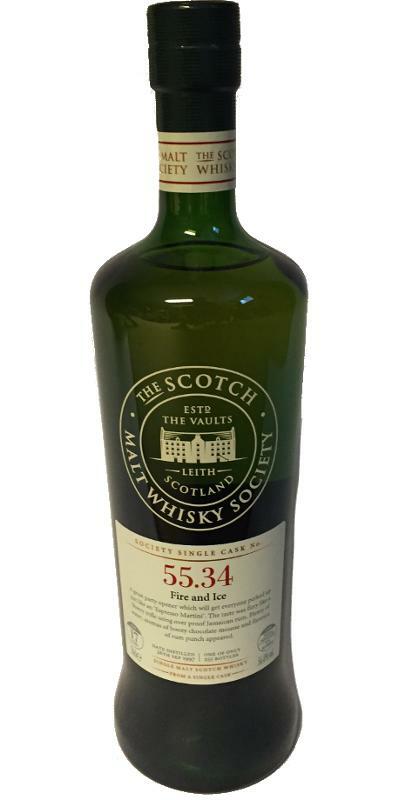 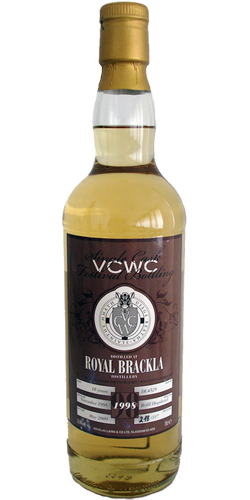 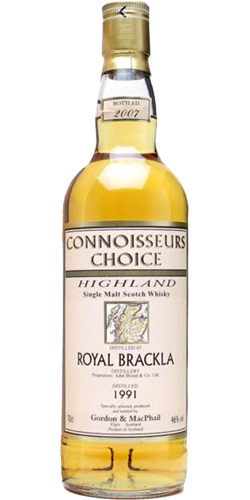 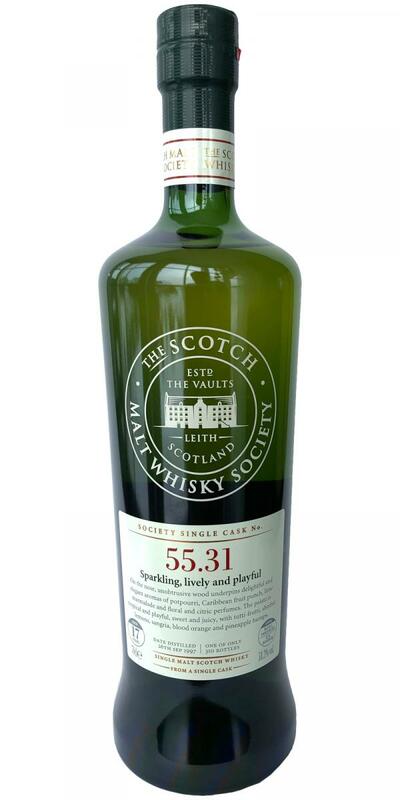 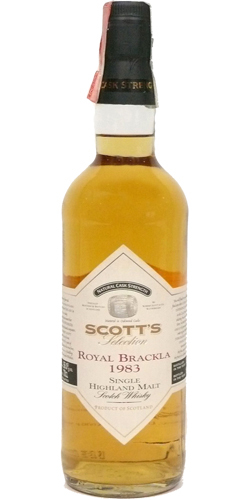 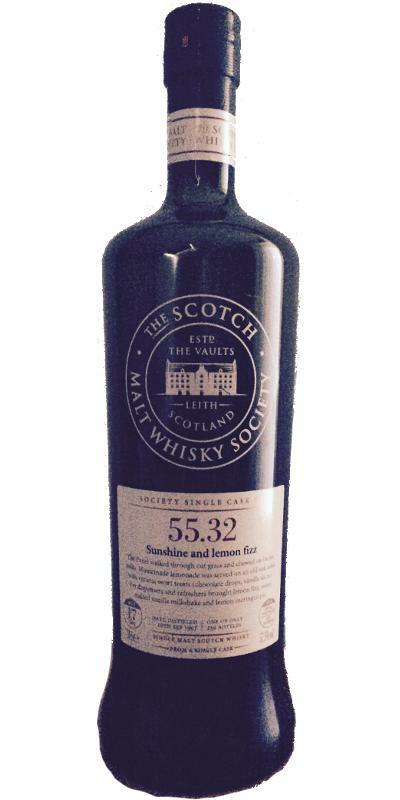 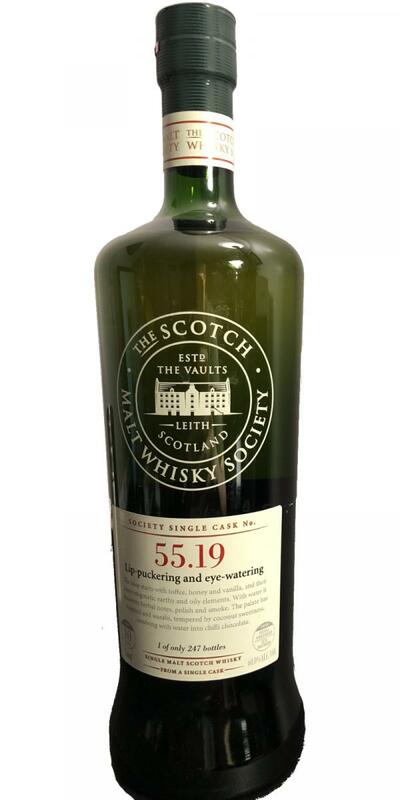 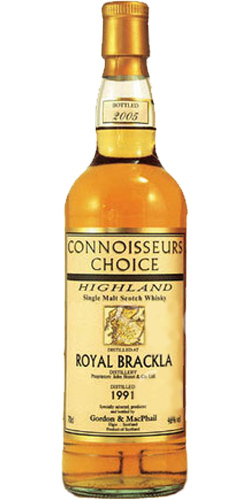 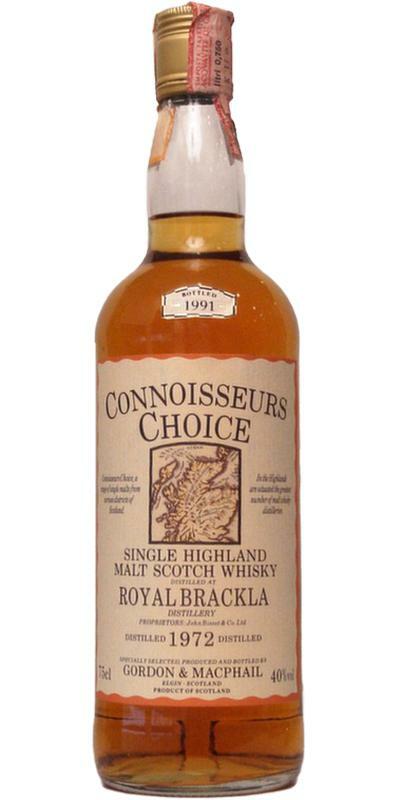 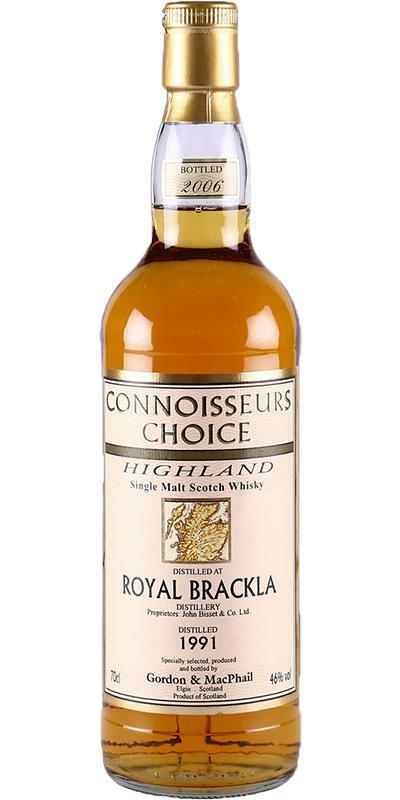 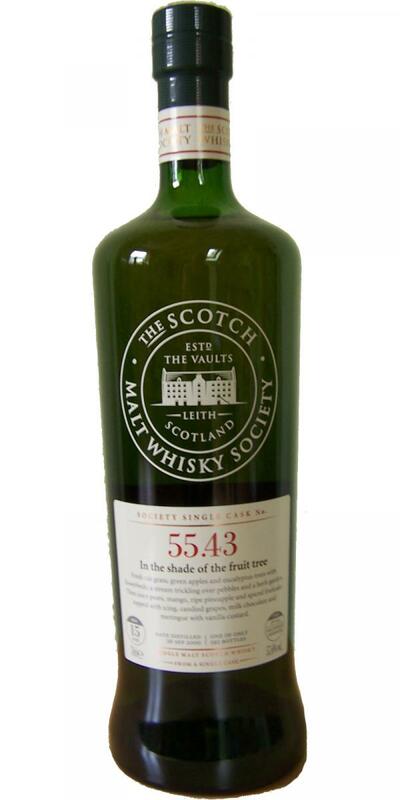 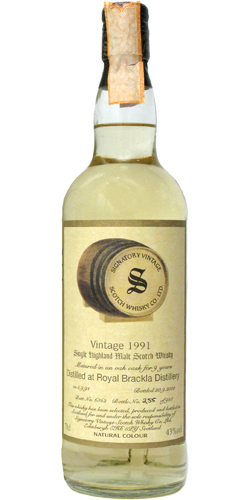 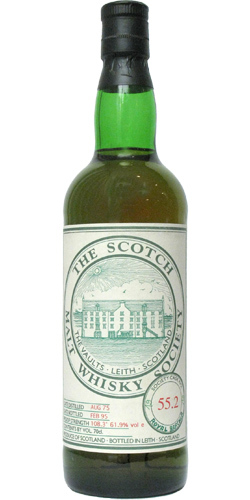 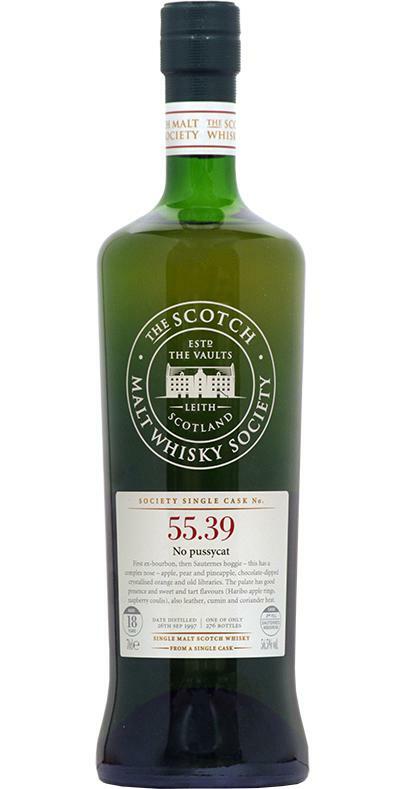 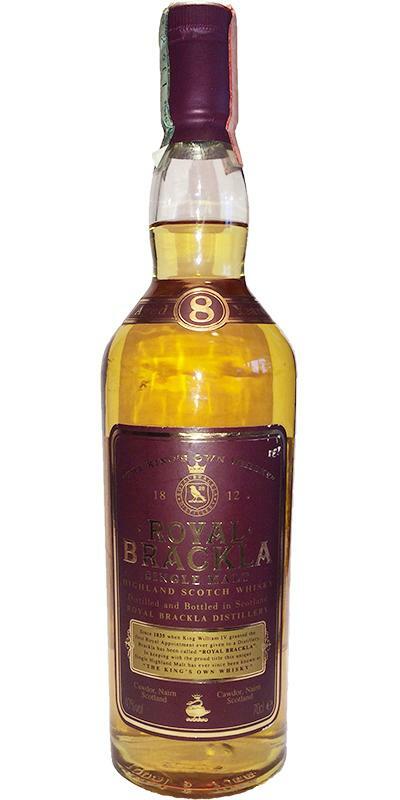 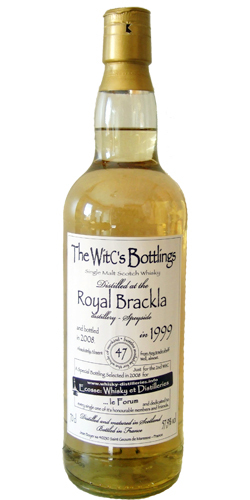 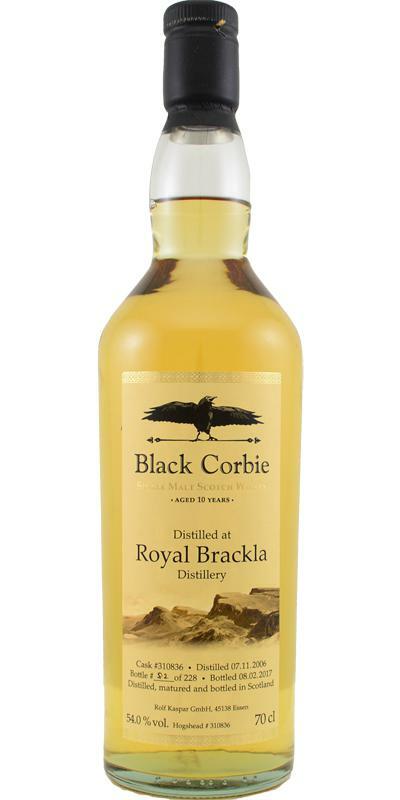 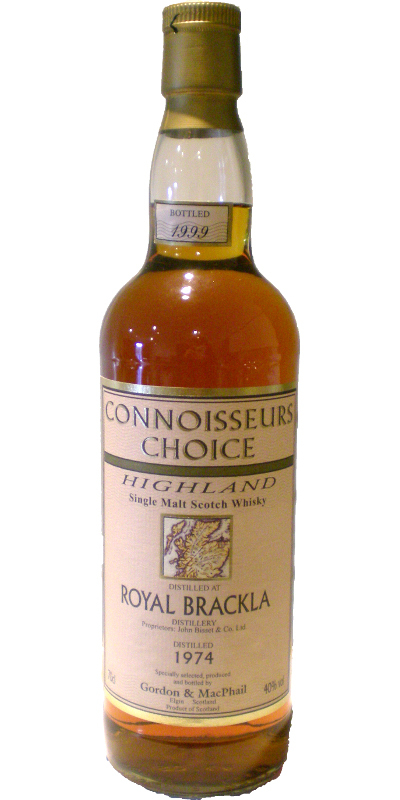 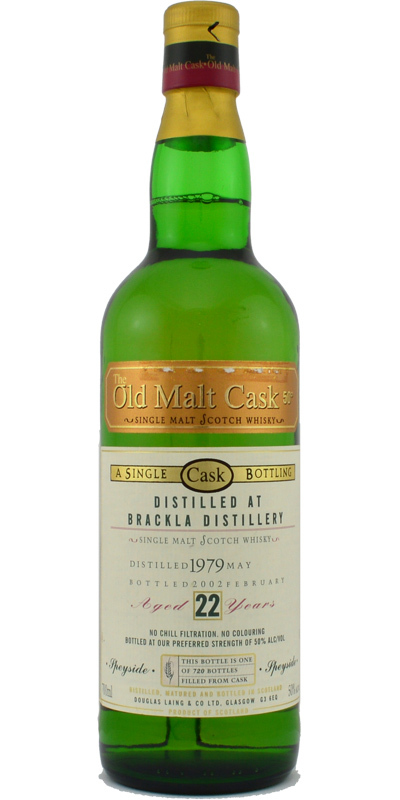 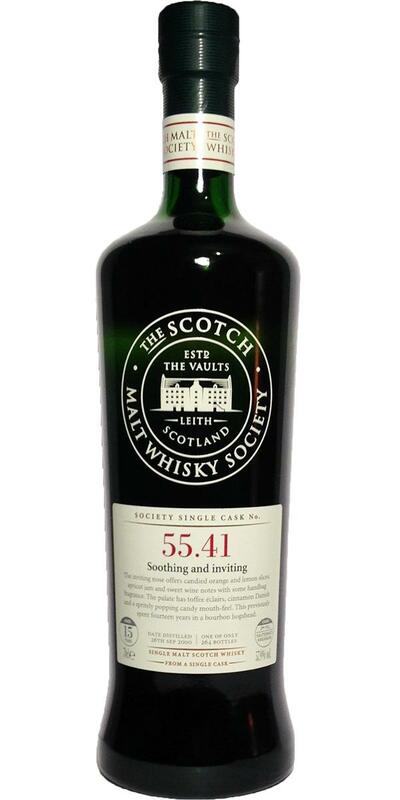 Royal Brackla 1983 WC 57.5 % Vol. 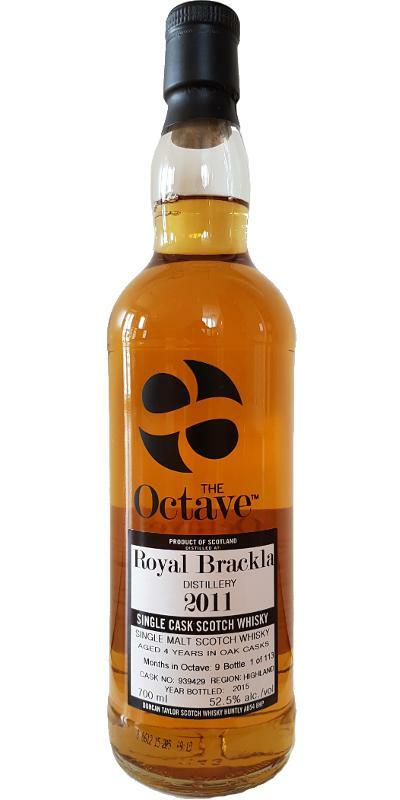 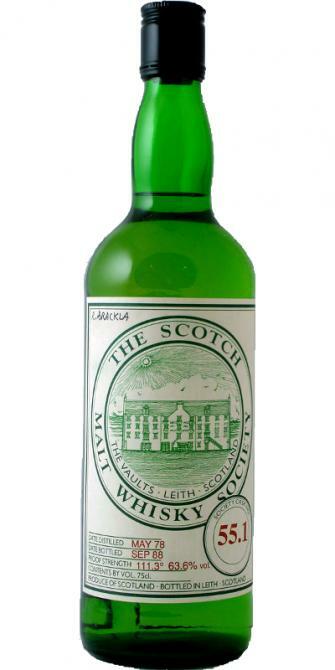 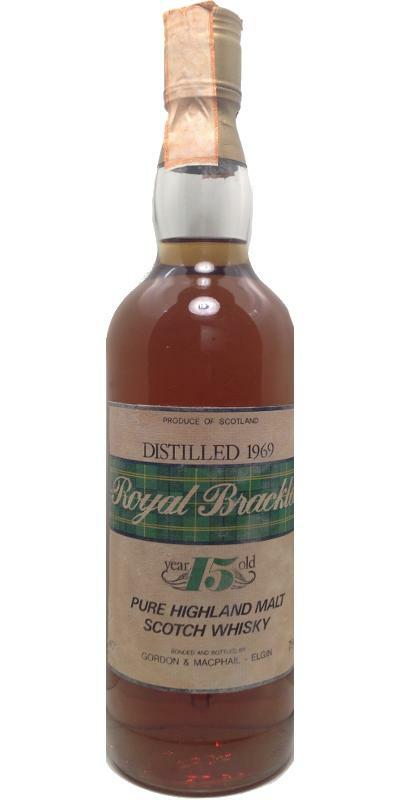 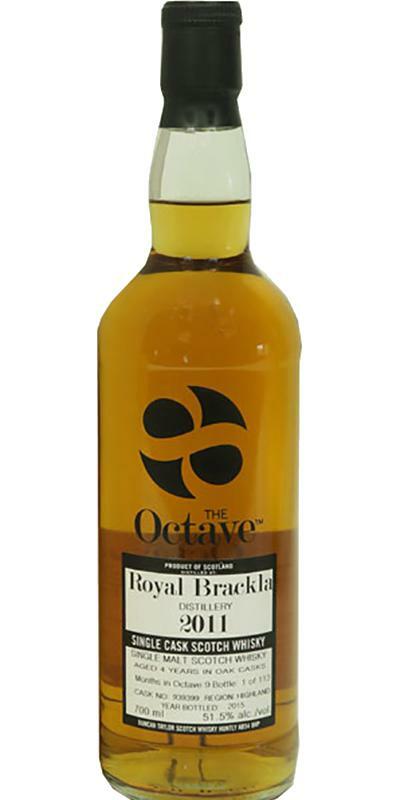 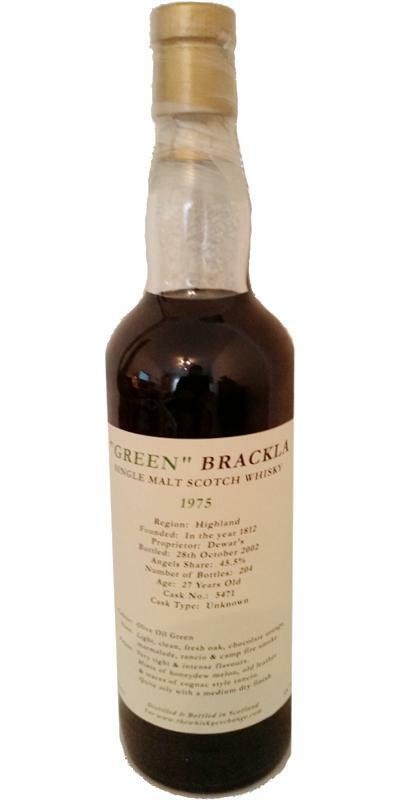 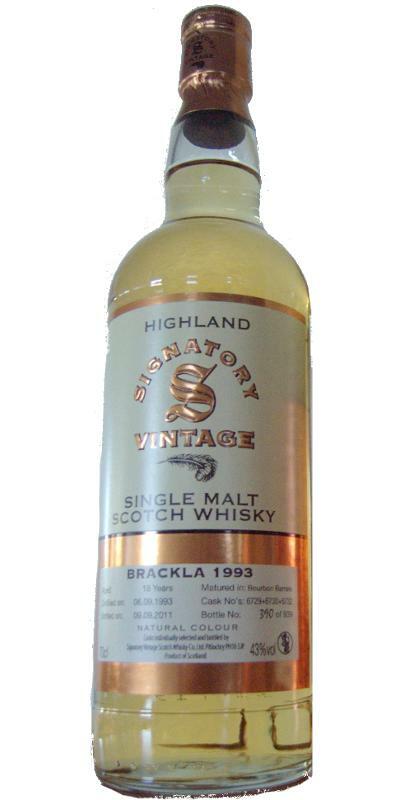 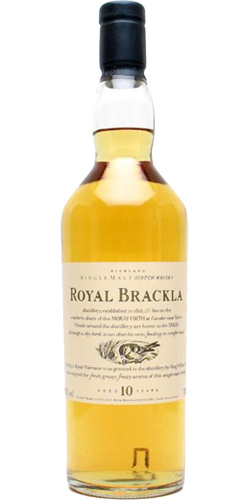 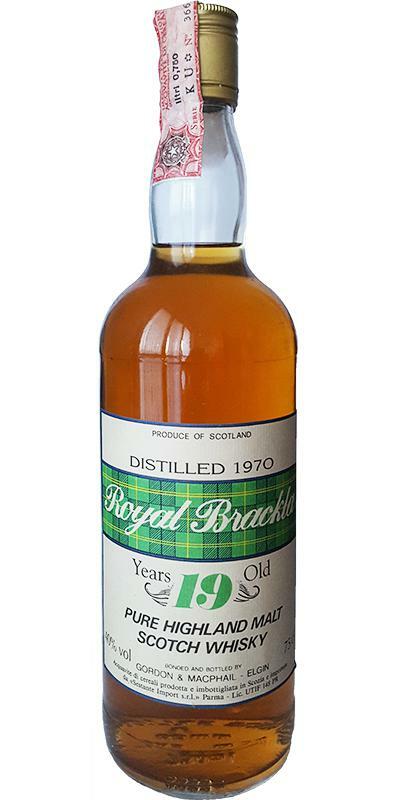 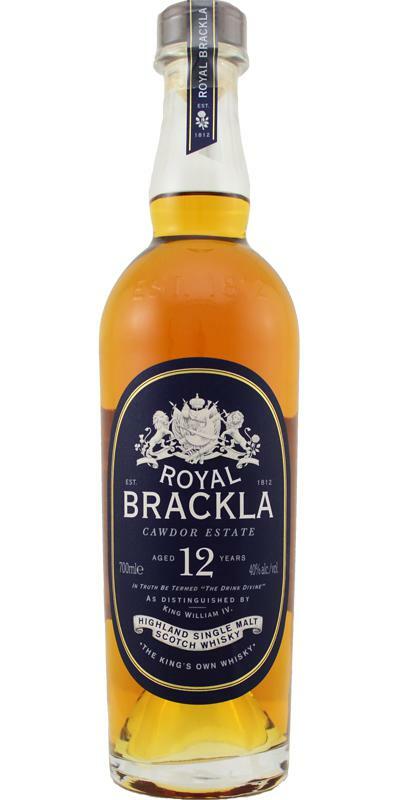 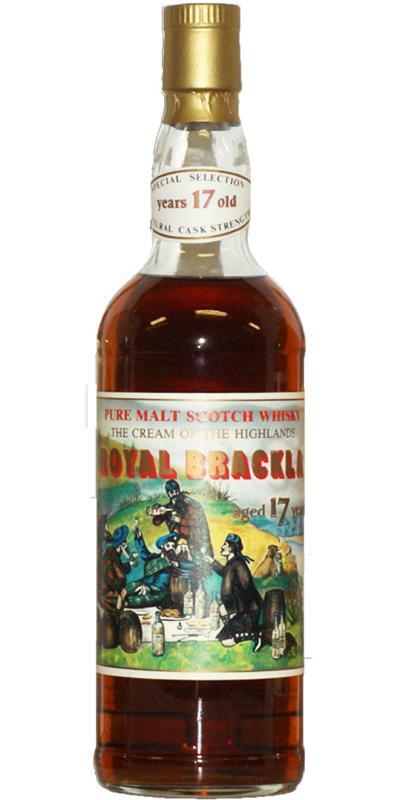 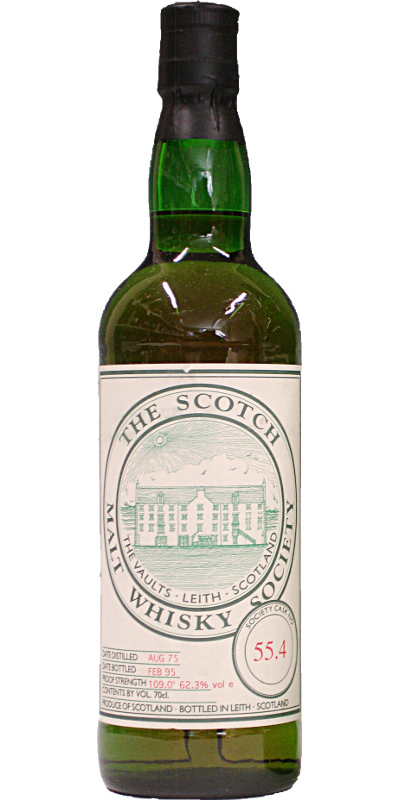 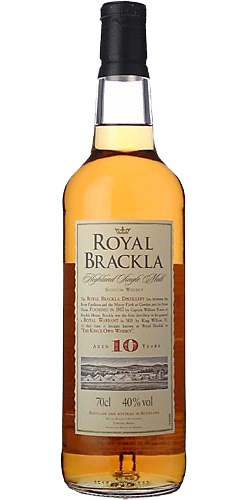 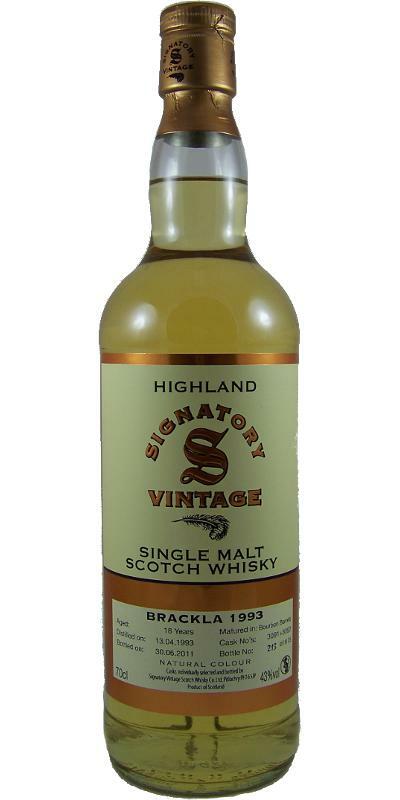 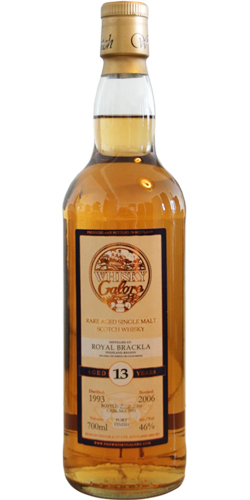 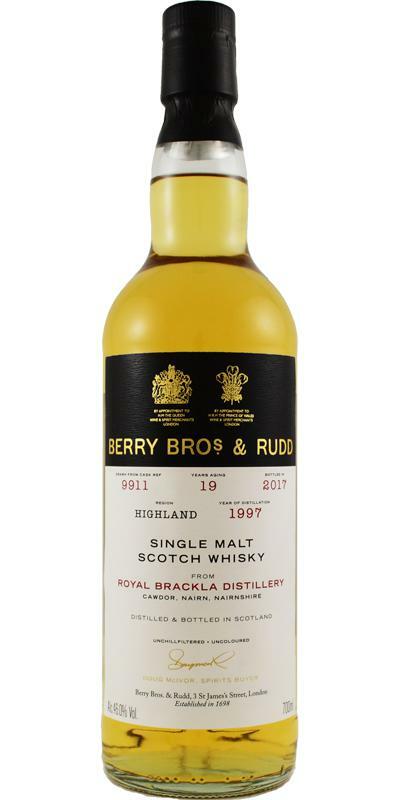 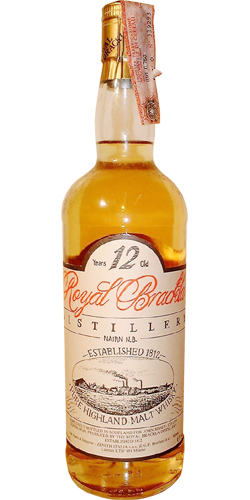 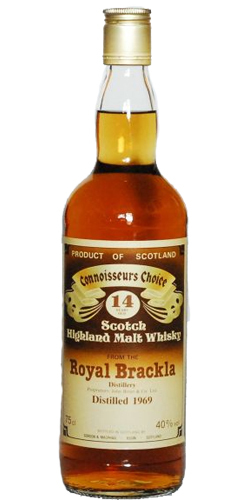 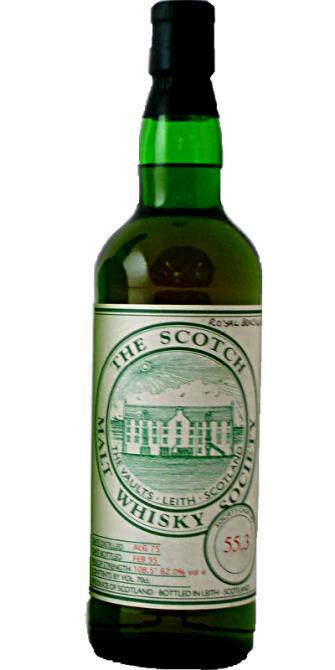 Royal Brackla 1978 W&W 15 43.0 % Vol.